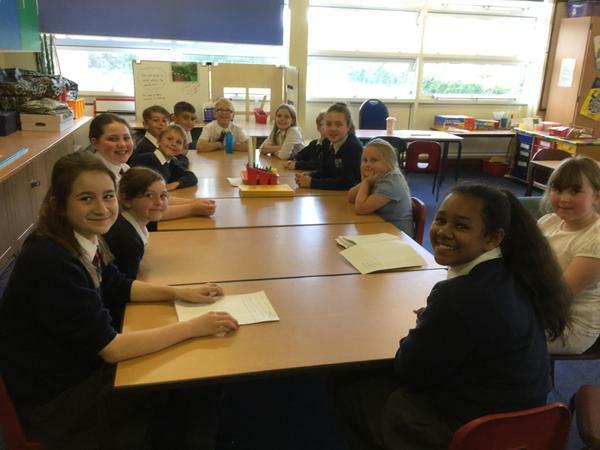 This is our new Cyber Council for 2018-19. 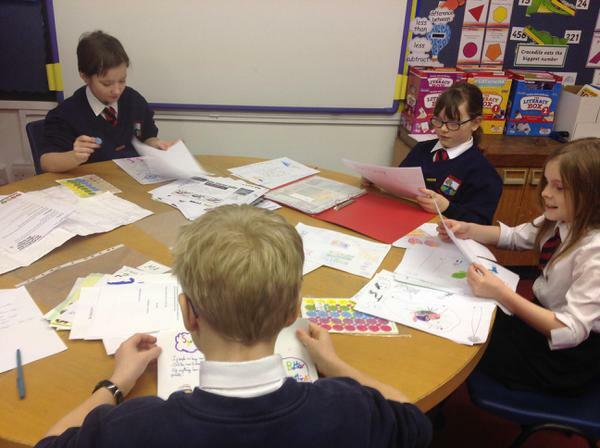 Those members at today's meeting looked at moderating children's work on J2E. 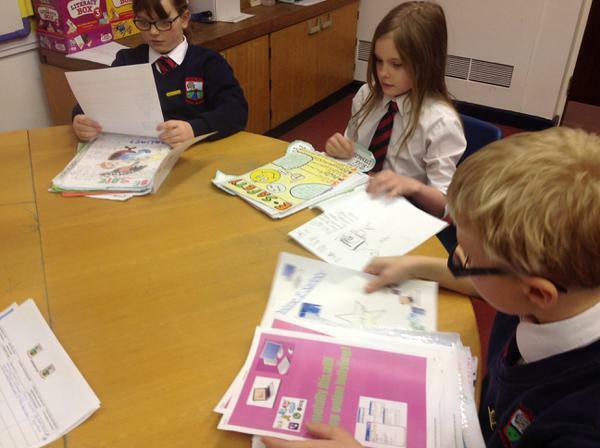 They will be checking on presentation, spelling and appropriateness of images and text. 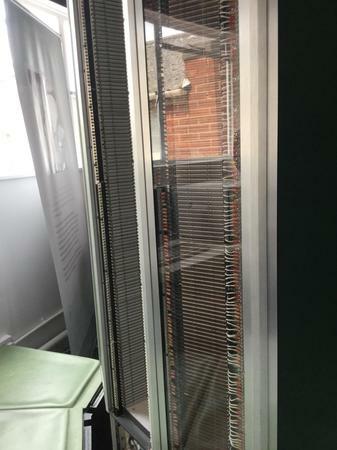 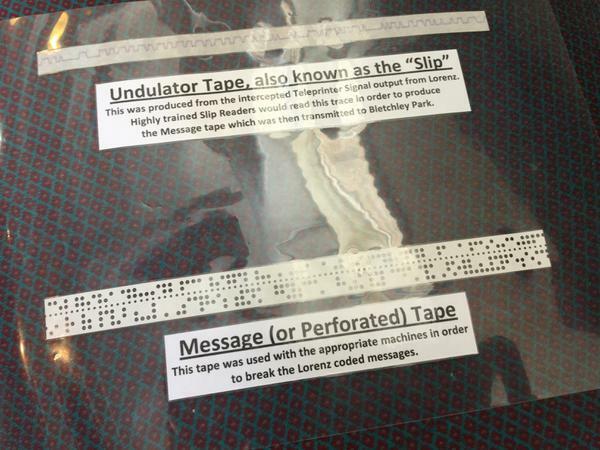 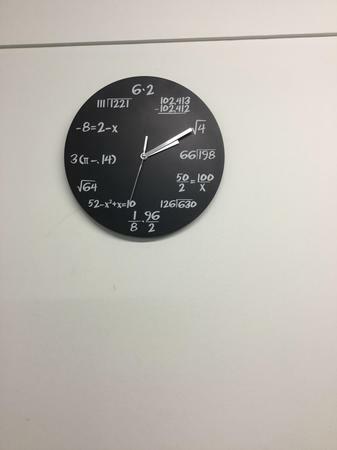 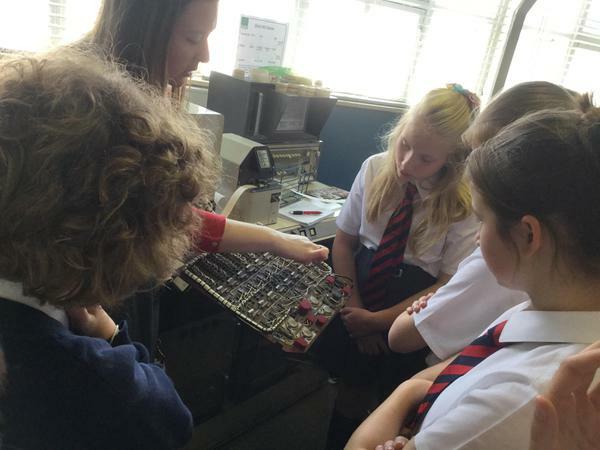 Previous meetings have looked at general hardware help around school so the children are familiar with faults that may occur in the LRA or ICT room. 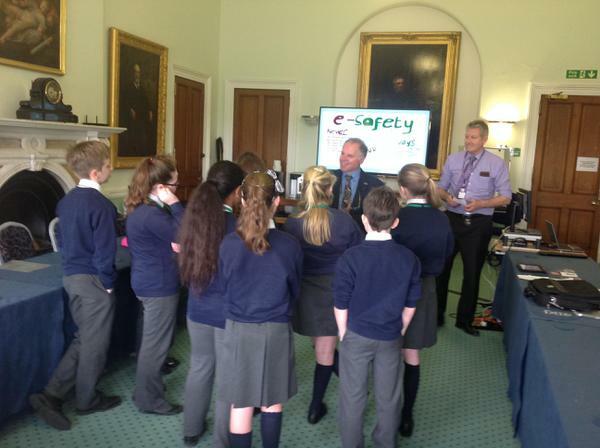 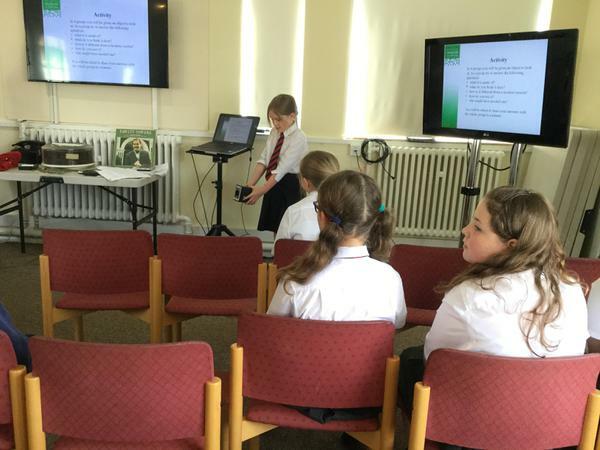 Ombersley are keen to set up their own Cyber Council group, so on Friday 3rd November we hosted a group of visitors. 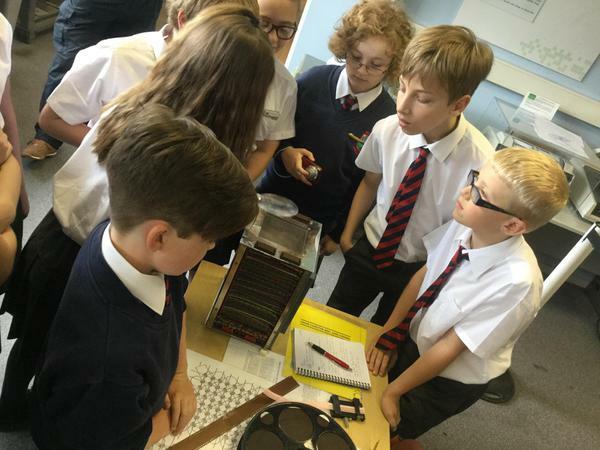 We explained what our roles were, why we wanted to join Cyber Council, and then showed their students some of the activities we are involved in. 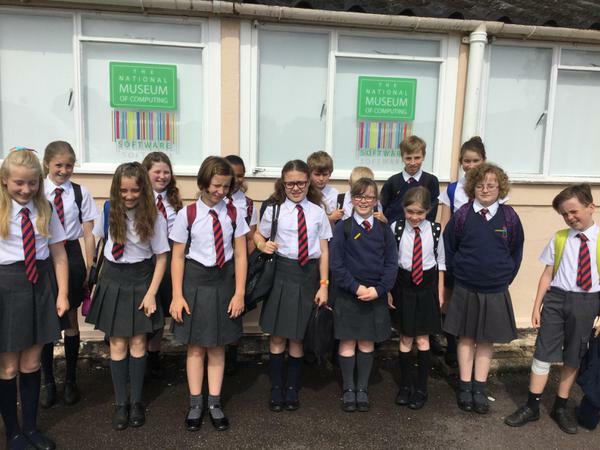 The visit was a great success, and they left inspired and looking forward to us visiting them next time to see their progress. 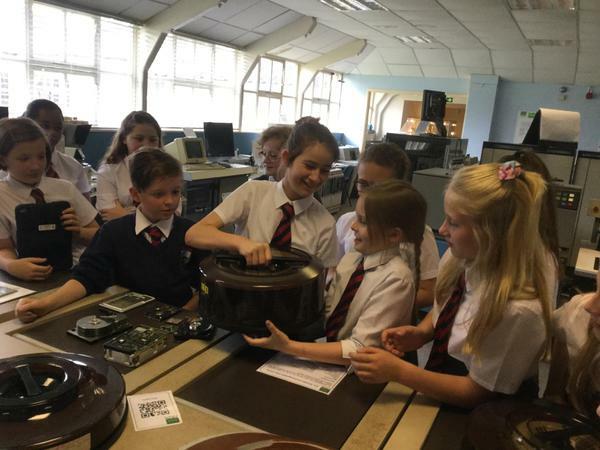 The newly appointed Cyber Council for this school year have been busy around school already. 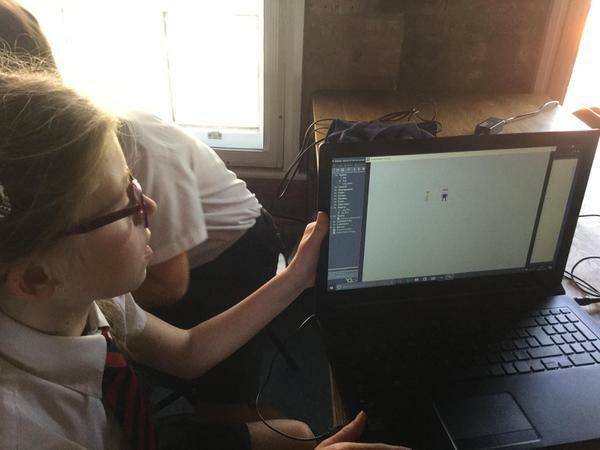 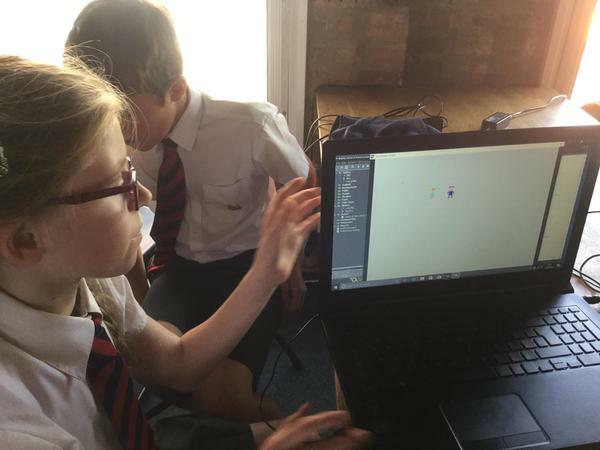 After discussions with the children, we decided to amalgamate Coding Club with JEducation club, so Fridays are very busy for council members trying to support all our attendees. 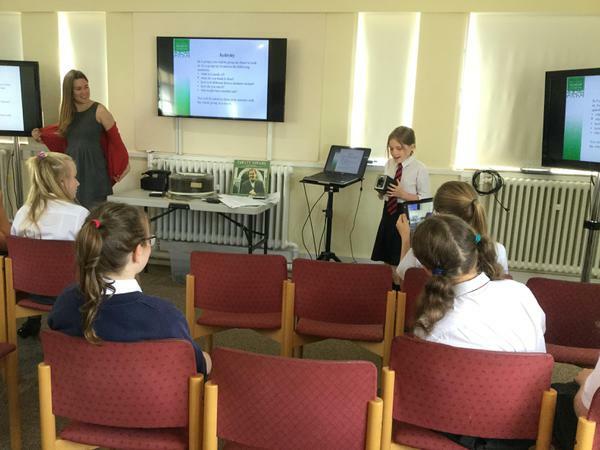 Some of our Cyber Council members were invited by the West Mercia Police and Worcestershire Citizens Advice Bureau to lead a workshop sharing e-safety tips with people across the community. 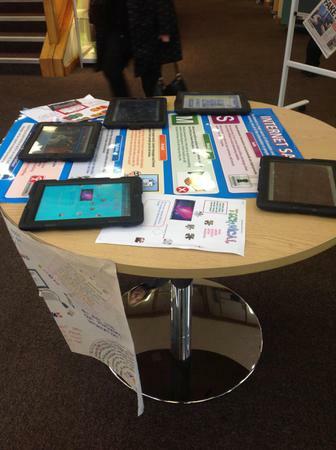 The event was held at Droitwich library and was aimed at library visitors from 5 to 95 years of age. 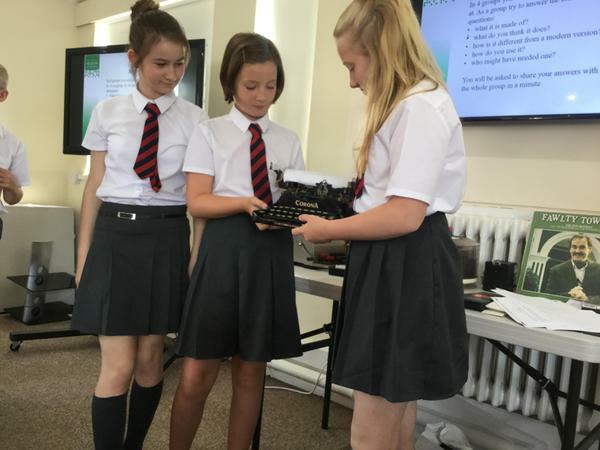 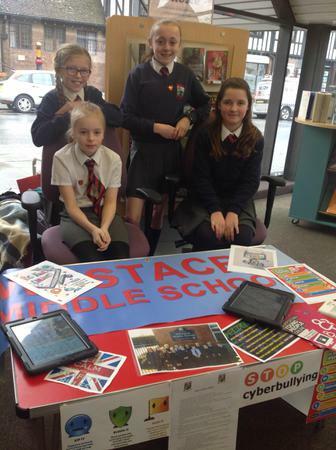 On the day, Tamzin and Beatrice in Year 5, as well as Chloe and Lily-Mai in Year 7, joined digital leaders from Chawson First School in setting up a stand at the library. 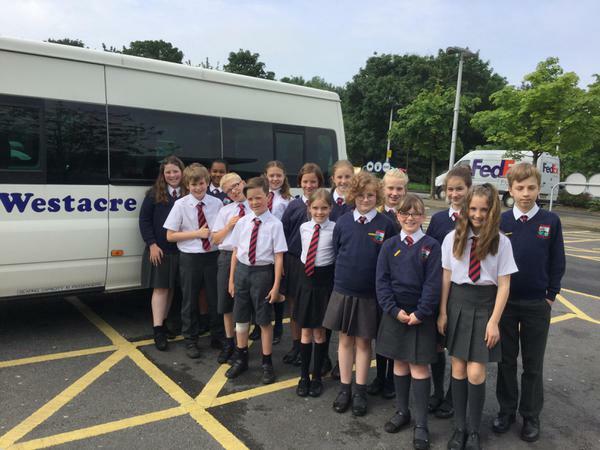 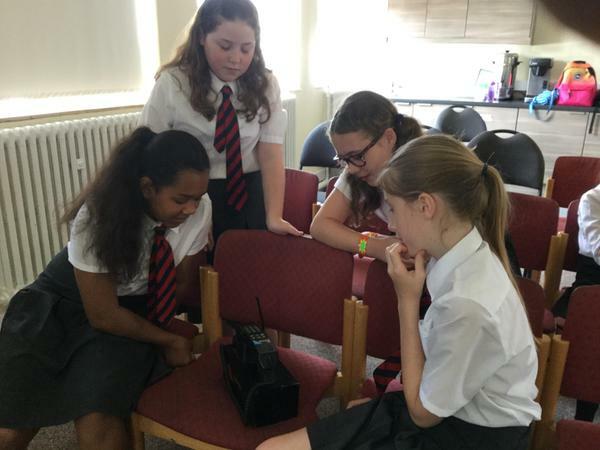 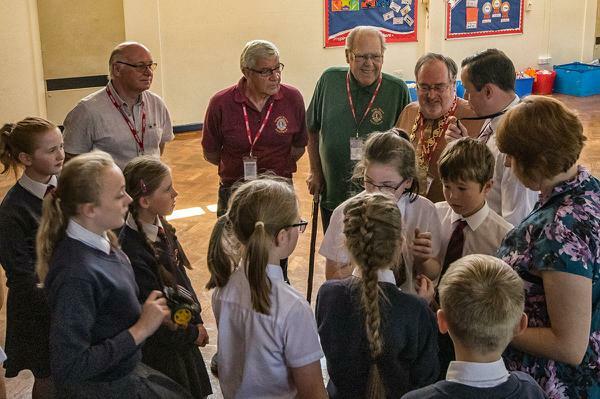 They spoke to many local people about what they do in school to encourage people at Westacre to be safe online, and shared a range of useful tips. 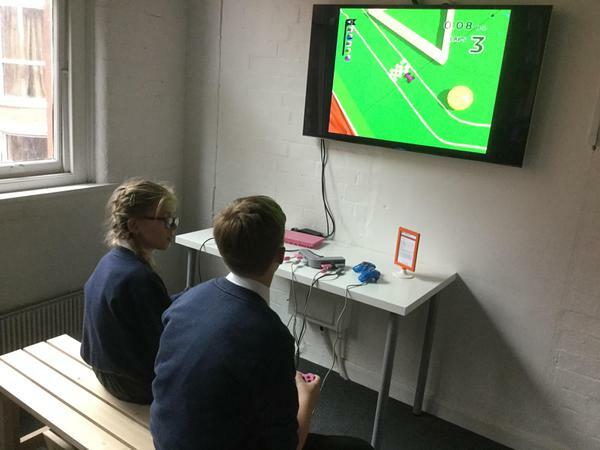 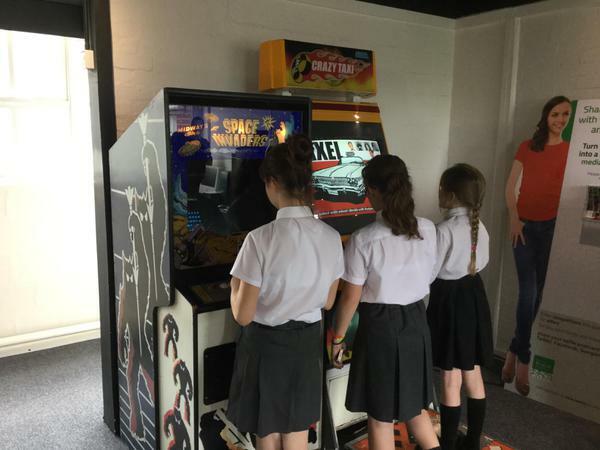 Visitors praised them for their engagement, confidence and interaction and said that they were 'a credit to themselves and the school'. 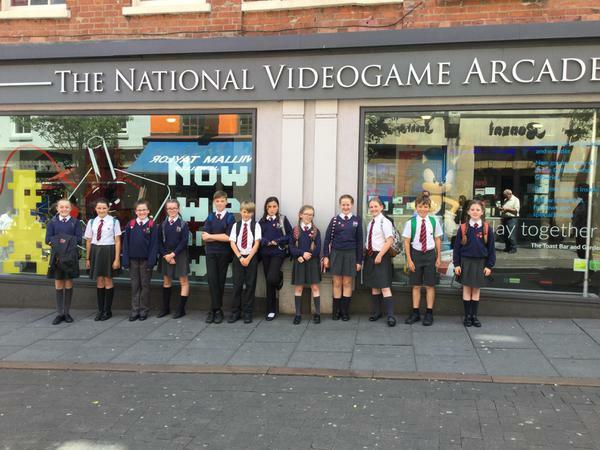 We are indeed very proud of them! 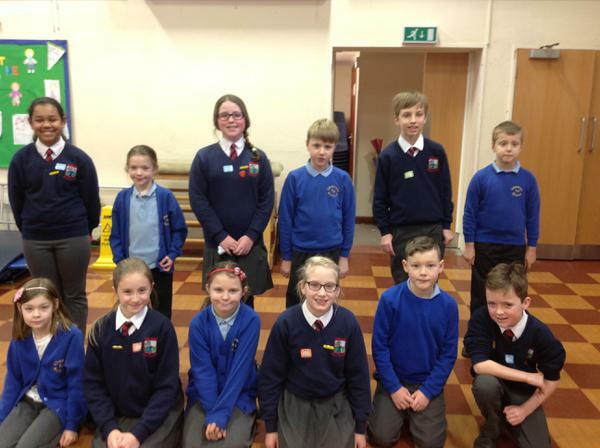 Here are our current group of digital leaders who make up our Cyber Council. 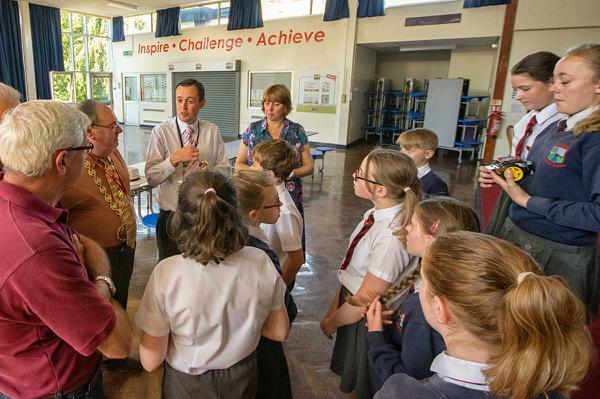 They include members who have been part of the team since September, as well as newly-elected members. 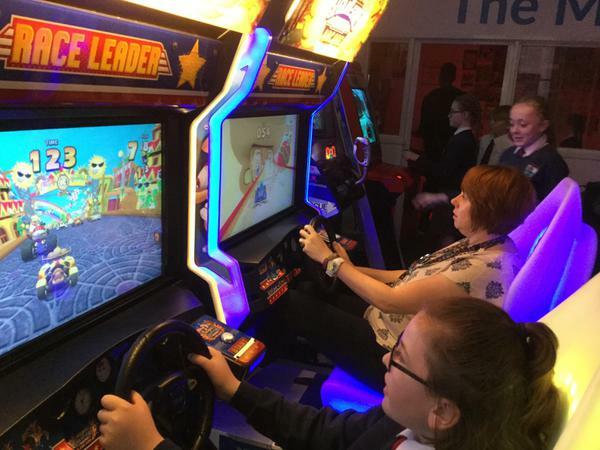 Well done to all of the digital leaders. 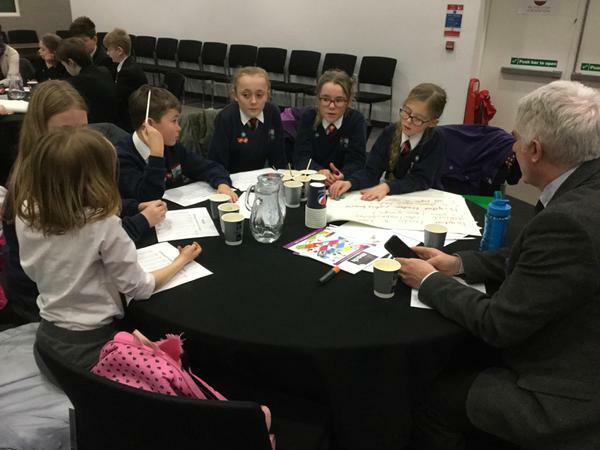 They all presented their ideas with confidence and enthusiasm, and helped give other schools many ideas to take back with them. 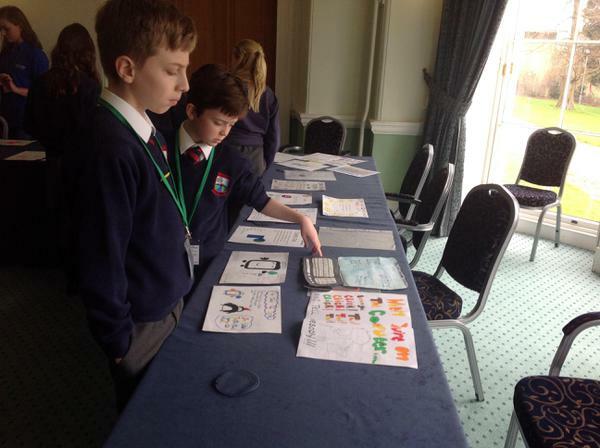 We too heard about a few ideas that Cyber Council will be bringing to Westacre very soon! 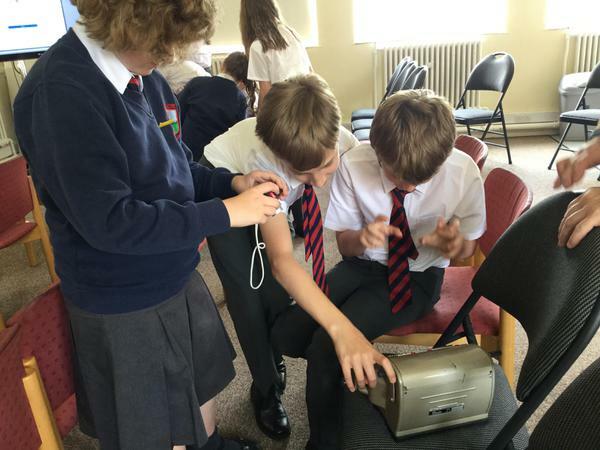 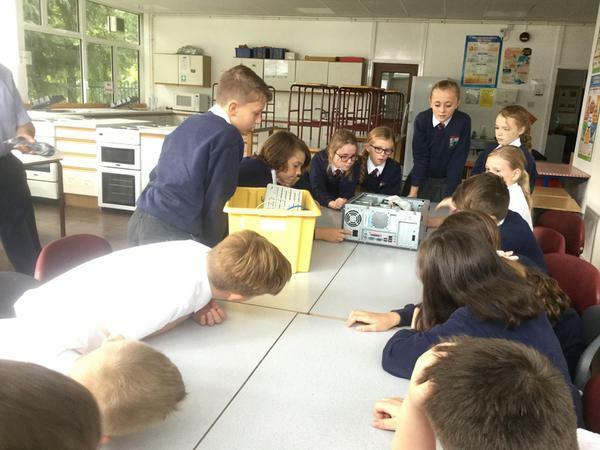 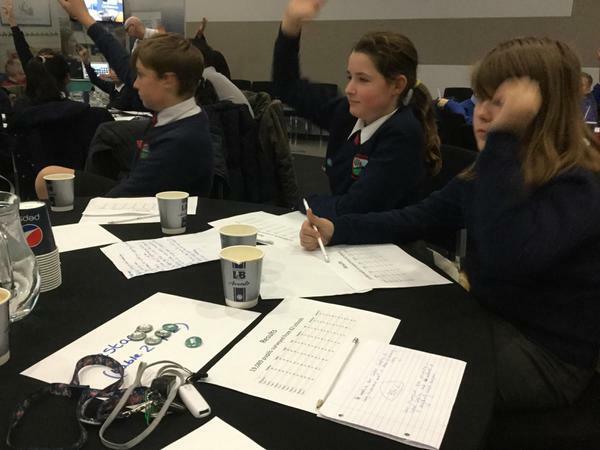 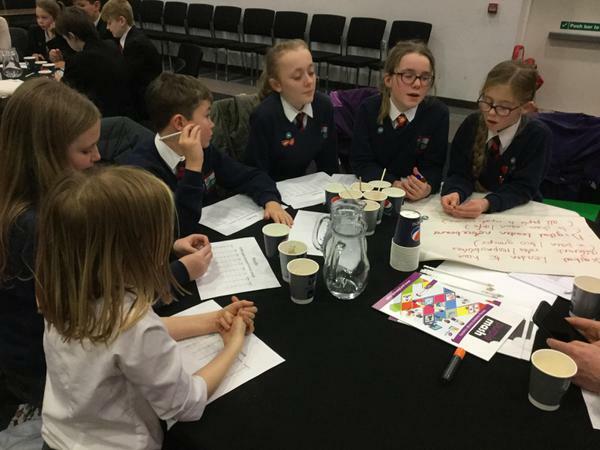 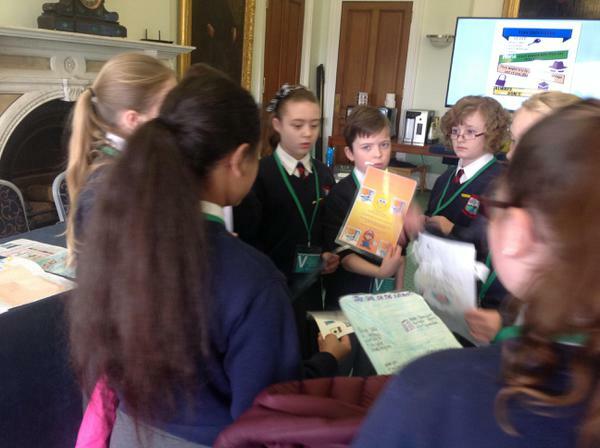 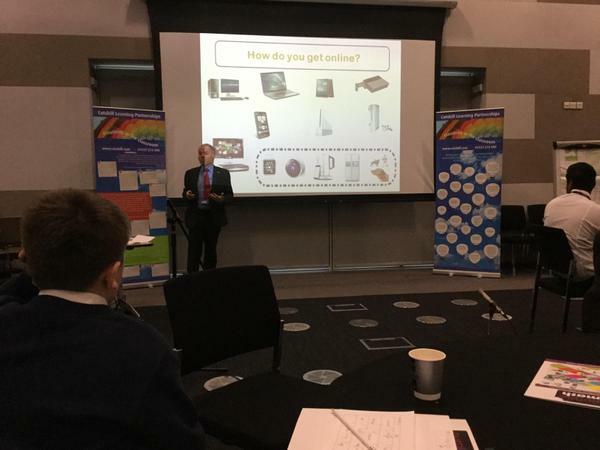 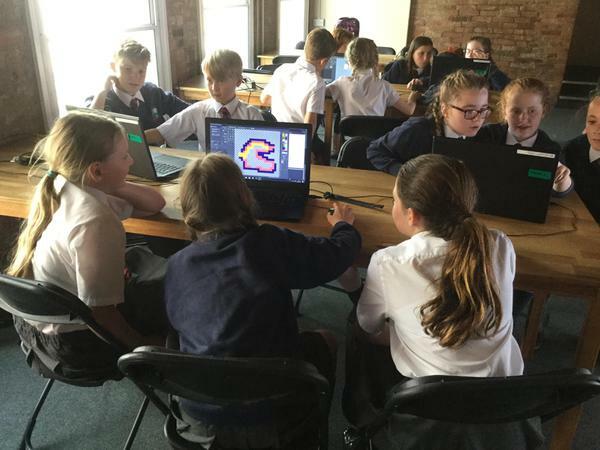 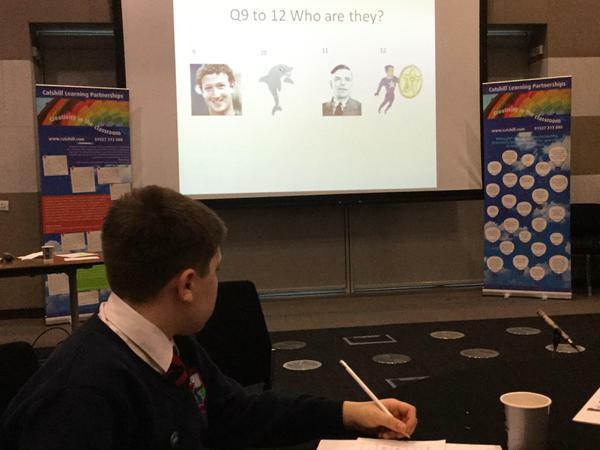 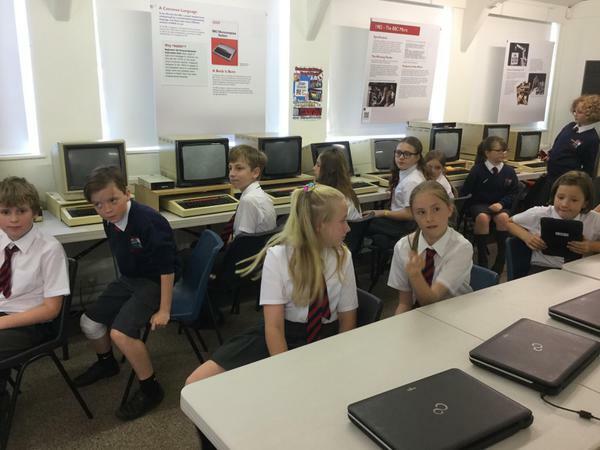 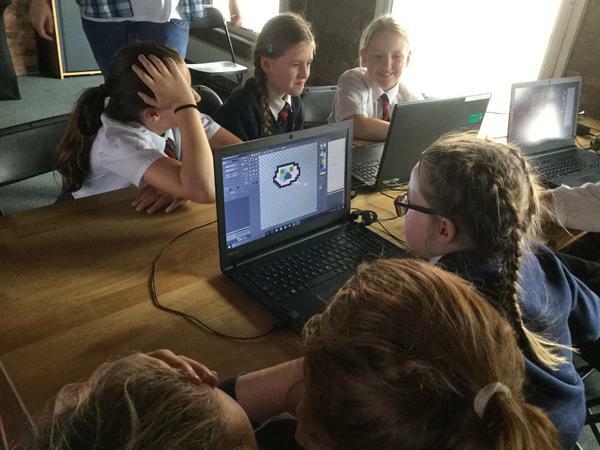 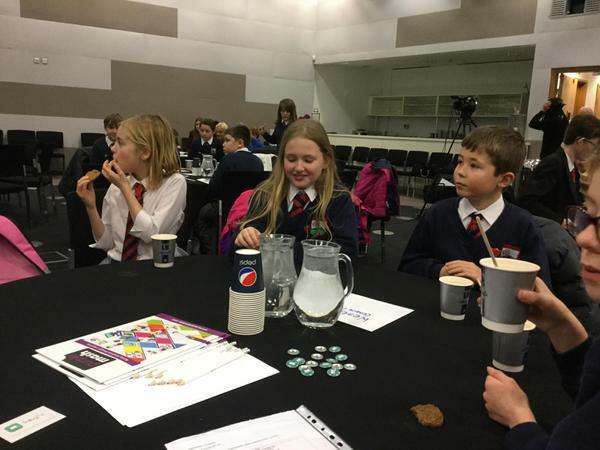 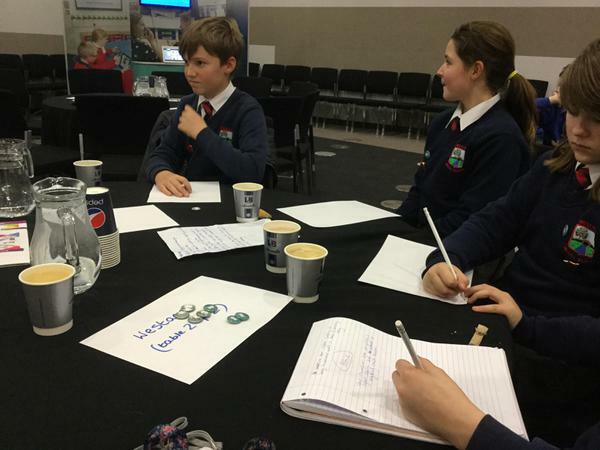 For their first task as our new digital leaders, Cyber Council took part in some training to help them understand more about computers and how they work. 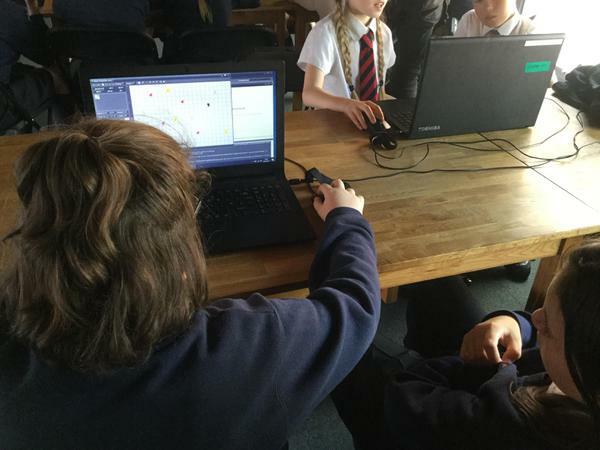 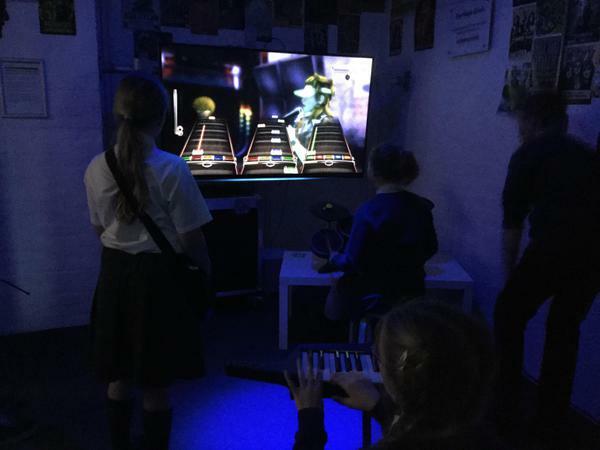 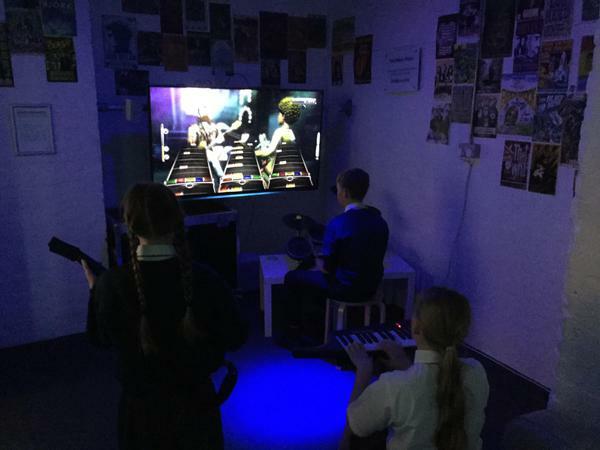 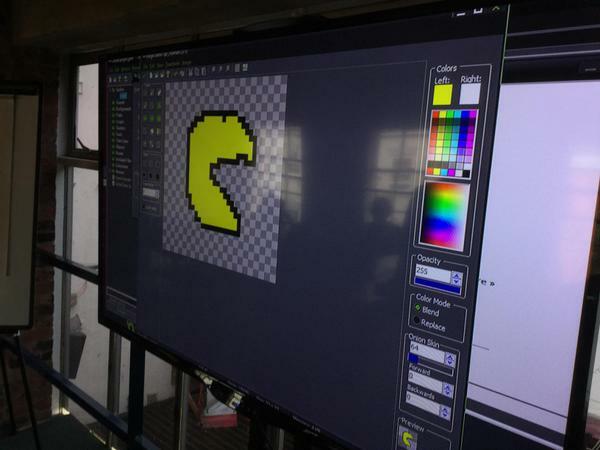 The children learned about inputs and outputs, VGA and HDMI, RAM and CPUs, and a whole lot more! 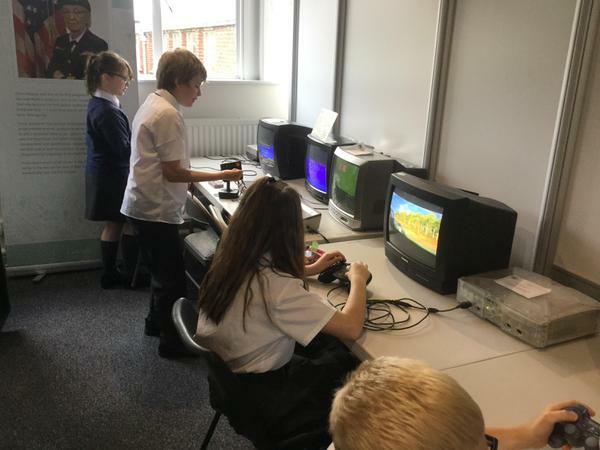 After this training, the digital leaders will be challenged to help solve any technical issues that may arise in school before they get passed on to our technical support staff. 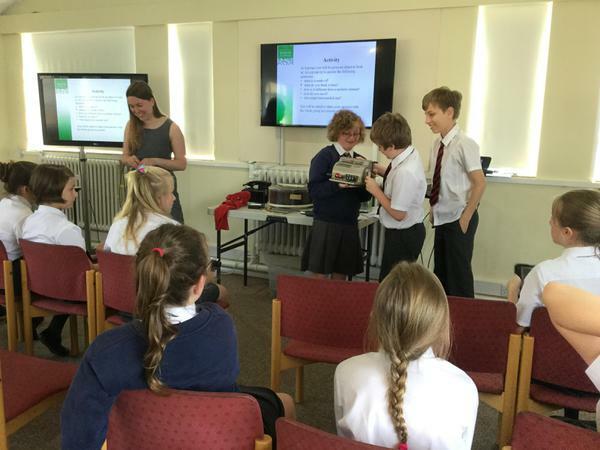 Well done Cyber Council for your effort and enthusiasm with this training! 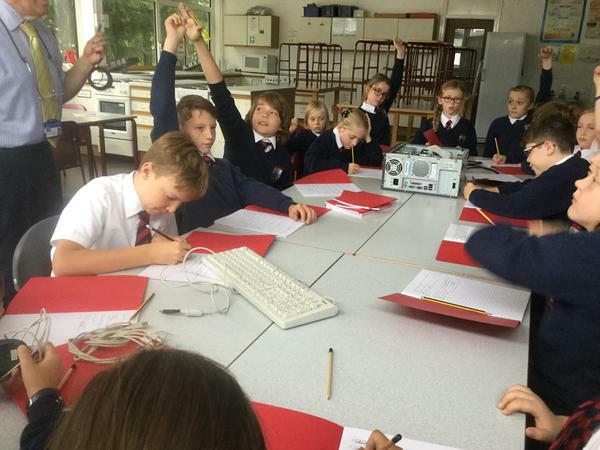 Here they are at the start of what should be an exciting year ahead! 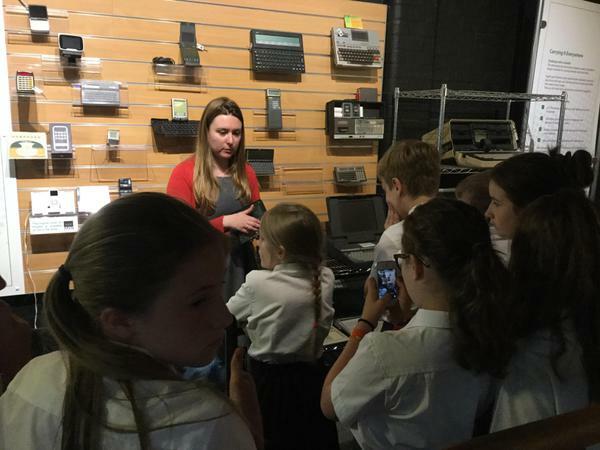 Some members of our Cyber Council spent the afternoon over at Westlands First School. 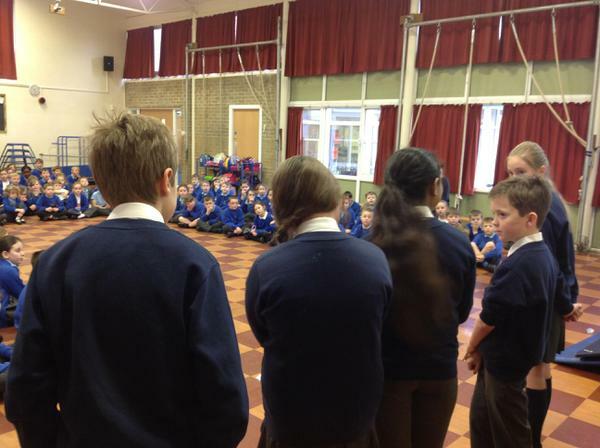 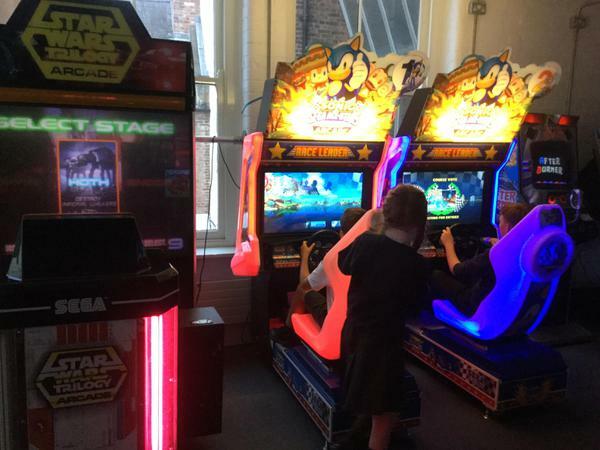 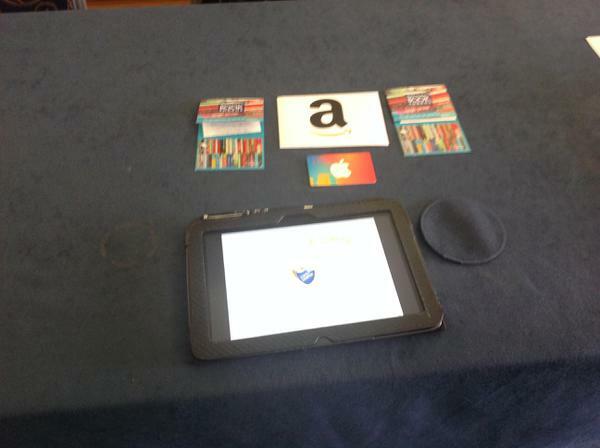 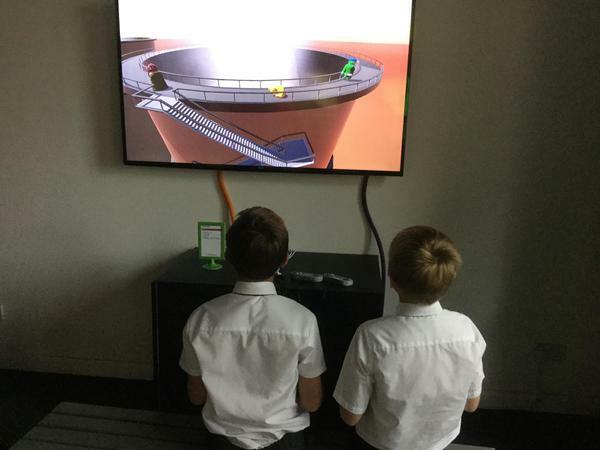 They met a group of Year 2 and 3 children who had been chosen to take on the role of digital leaders in their school. 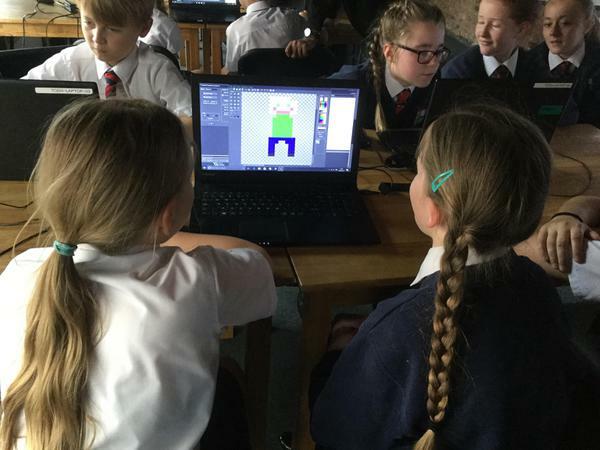 Our digital leaders were tasked with helping the pupils at Westlands to understand the role of a digital leader and develop their confidence and awareness of online safety. 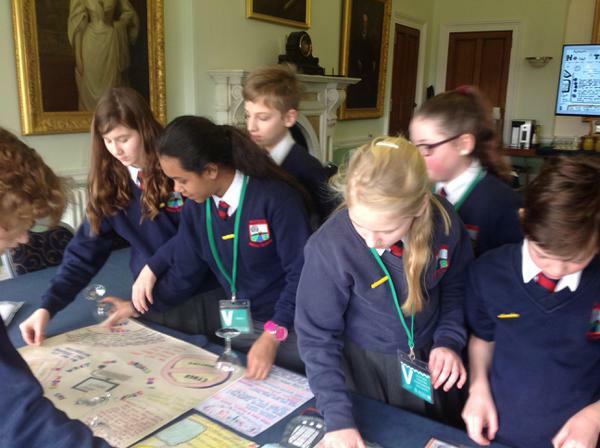 The afternoon was a very productive and successful one, which ended in the creation of a Cyber Crew at Westlands. 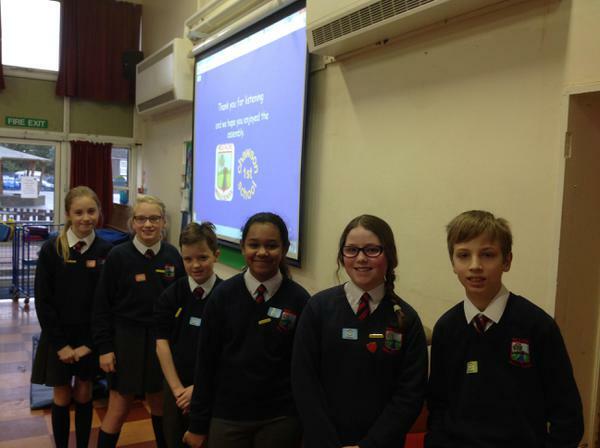 Our Cyber Council and this newly-formed Cyber Crew then worked together looking at ideas for developing awareness of E-Safety at Westlands, including our children sharing their E-Safety charters and discussing the possibility of a joint E-Safety video. 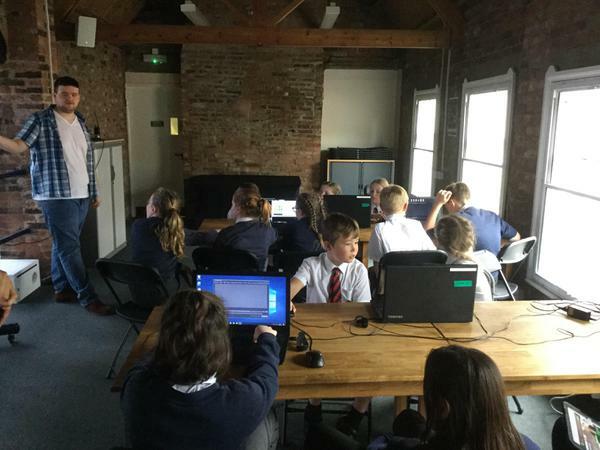 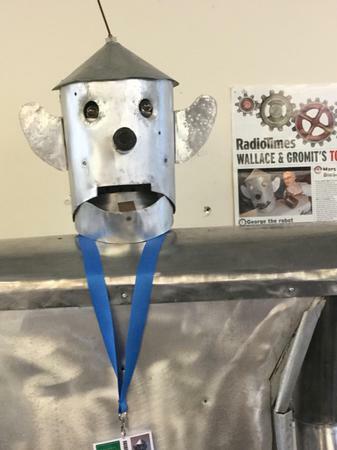 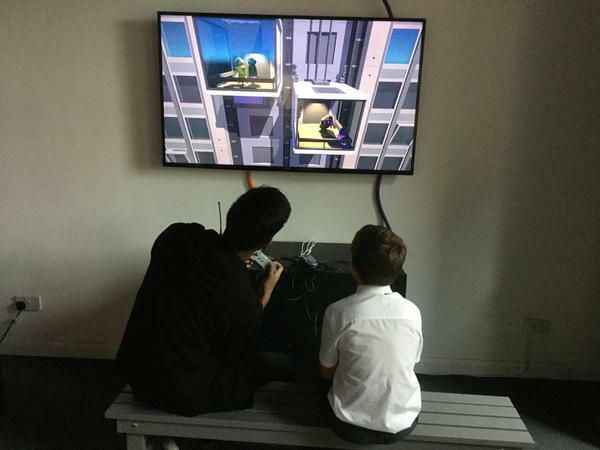 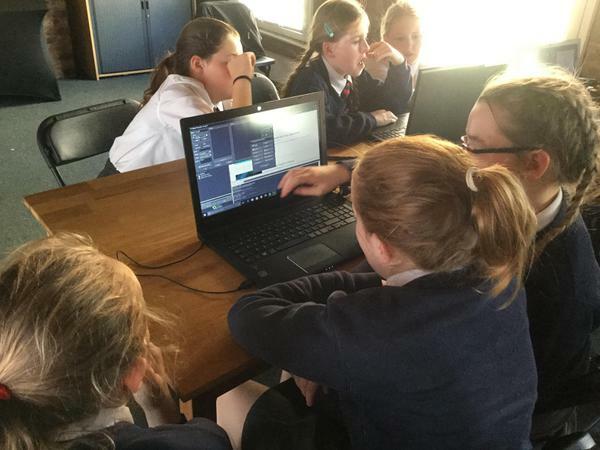 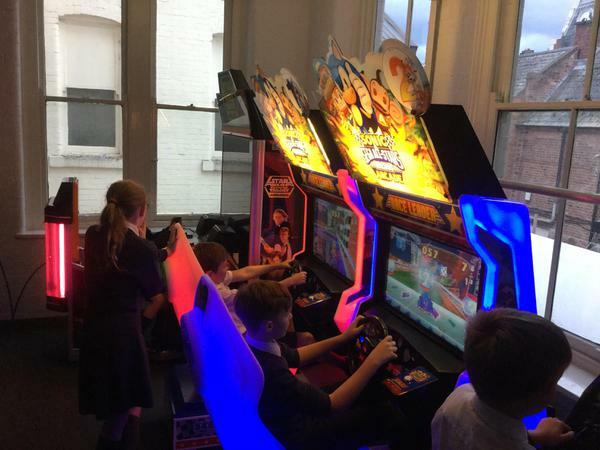 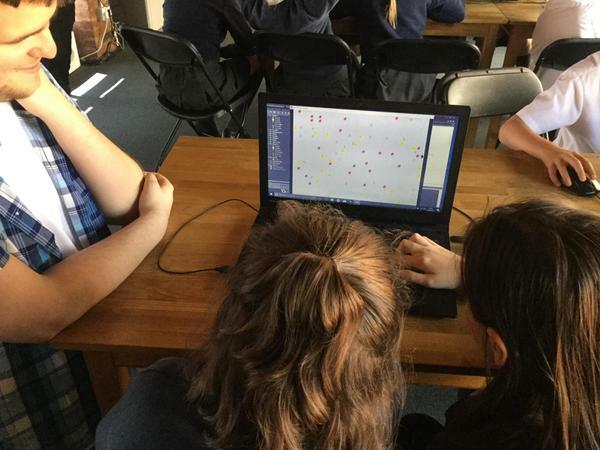 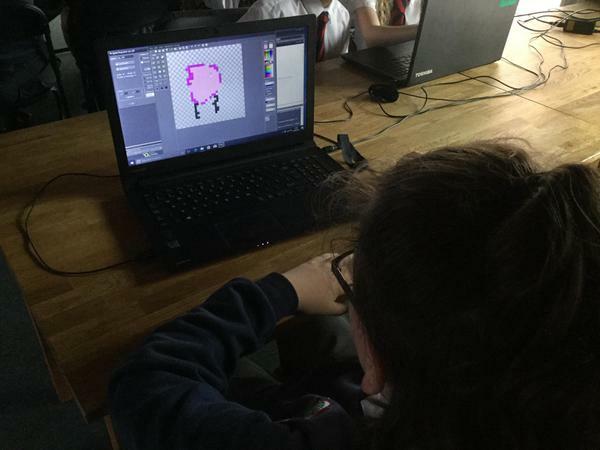 We look forward to working with the Cyber Crew at Westlands again very soon! 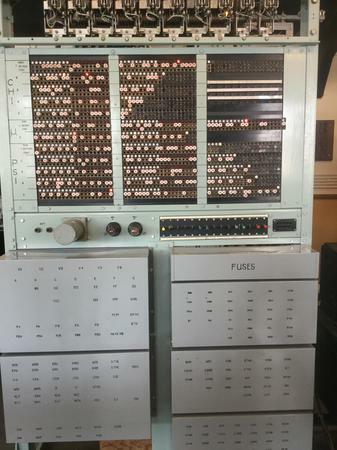 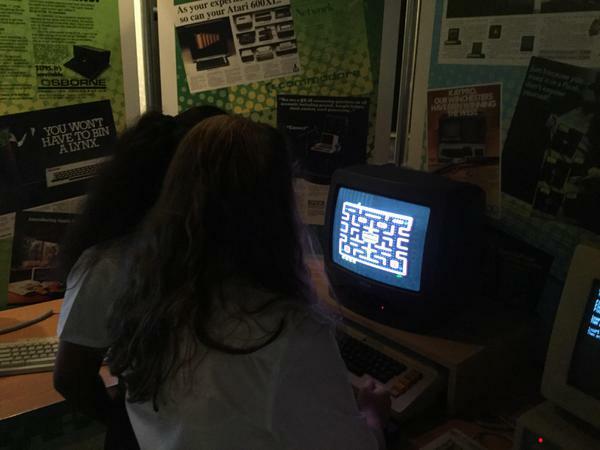 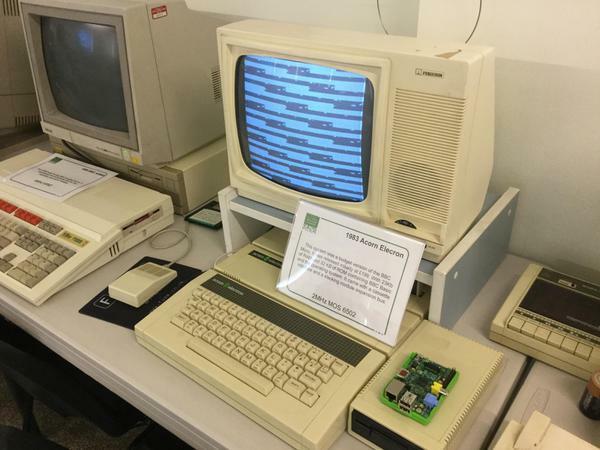 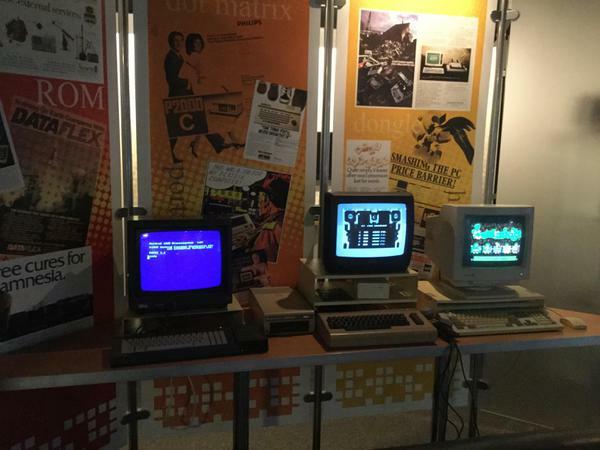 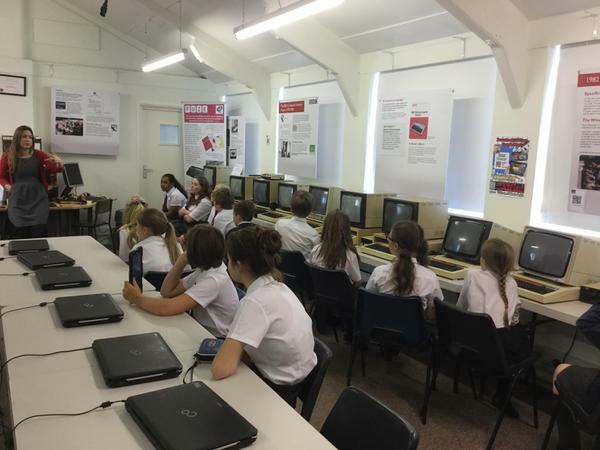 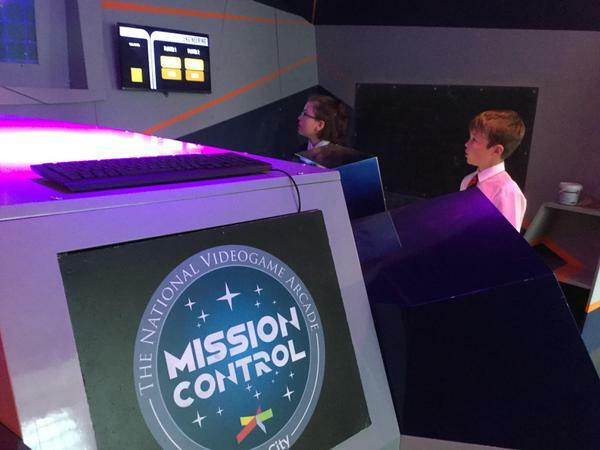 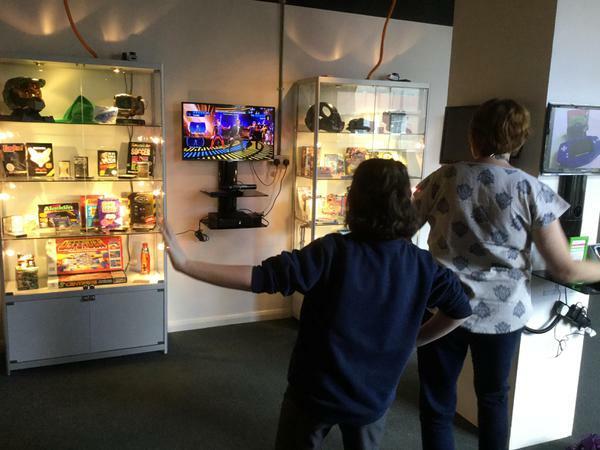 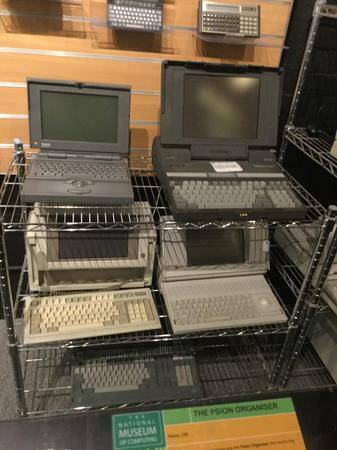 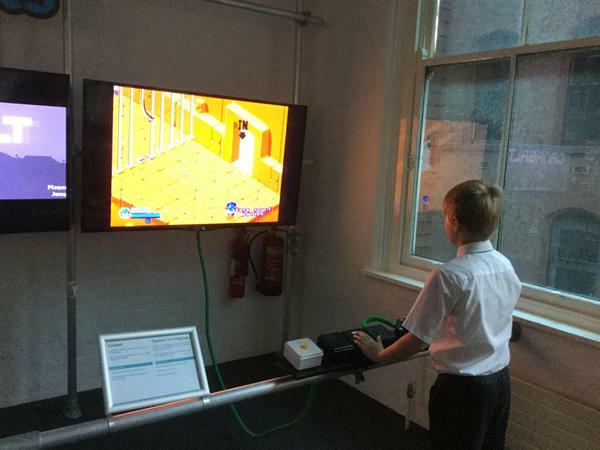 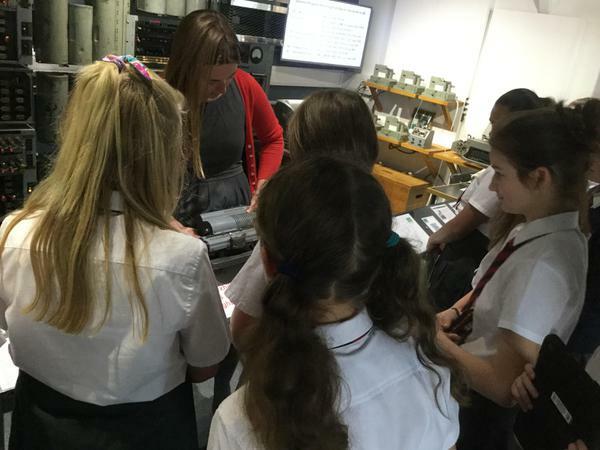 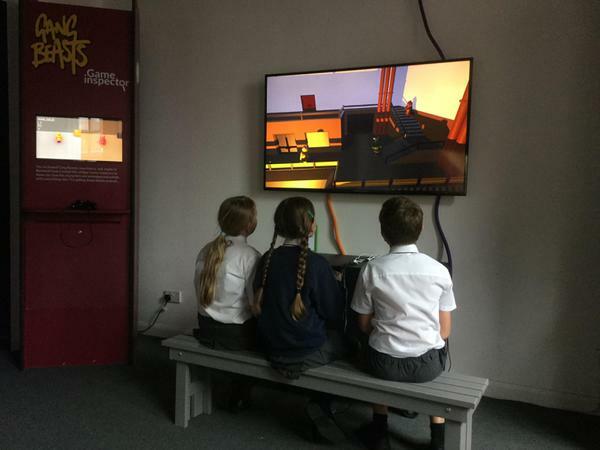 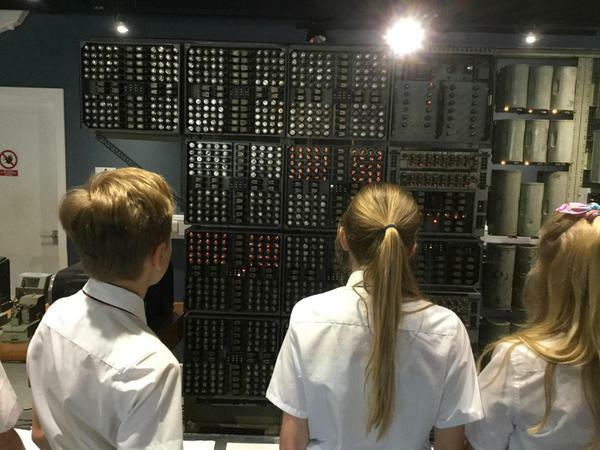 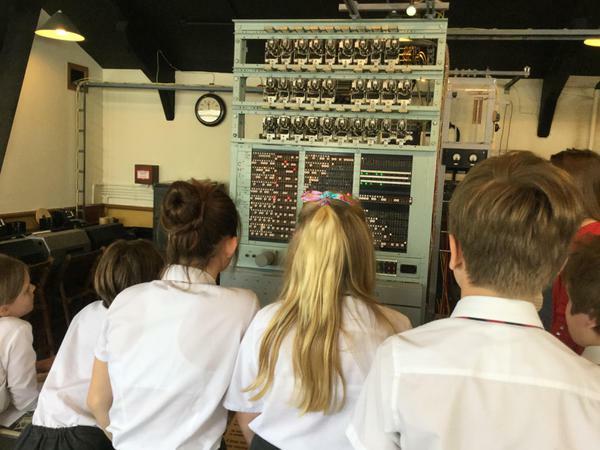 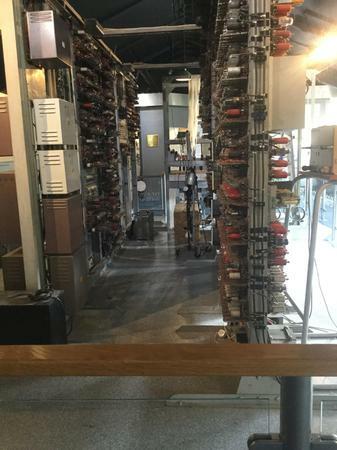 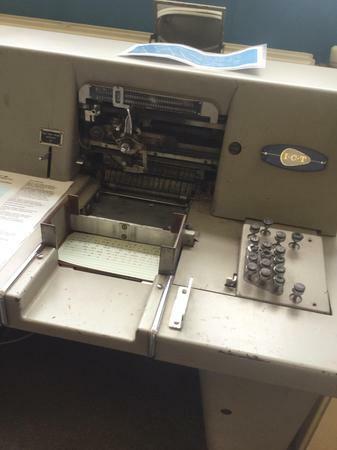 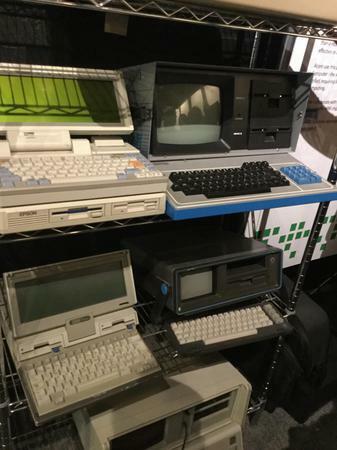 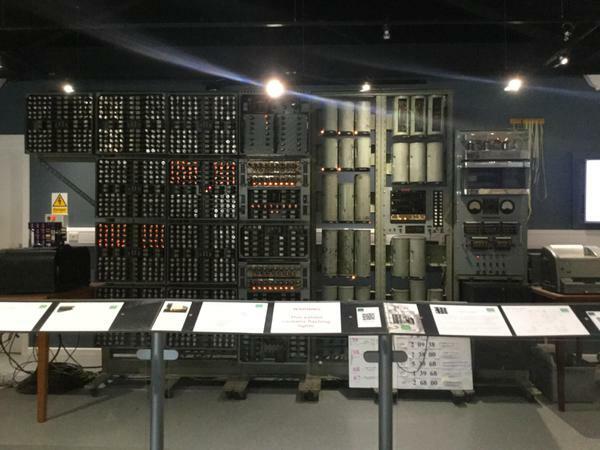 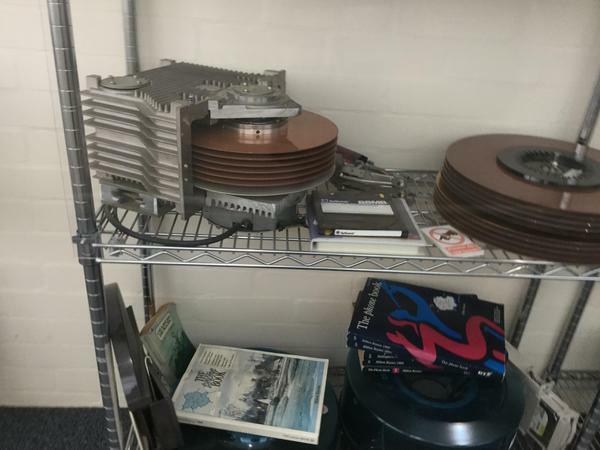 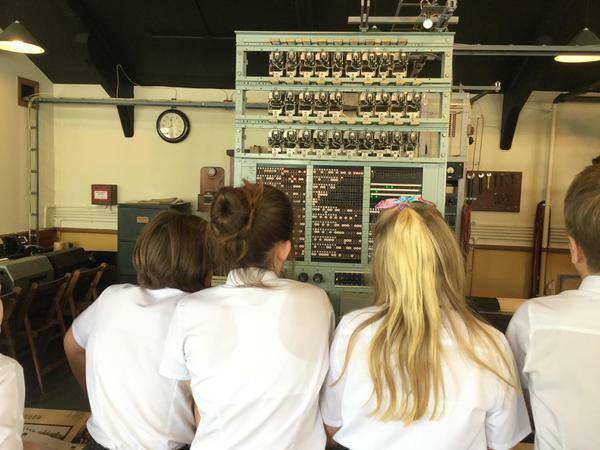 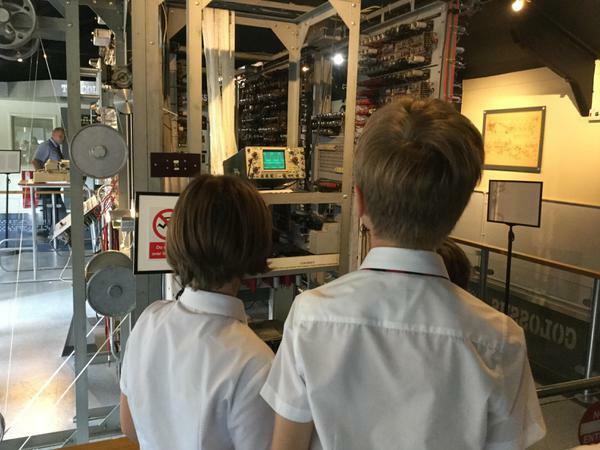 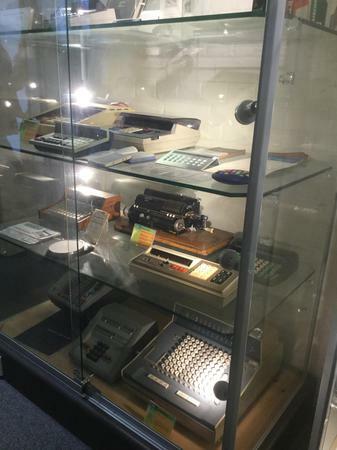 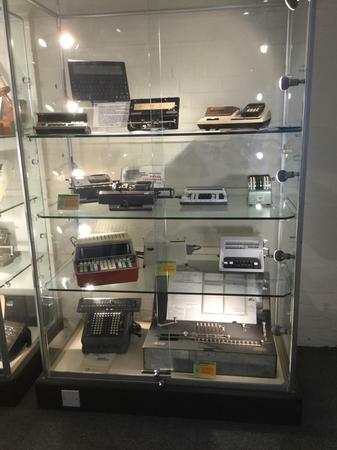 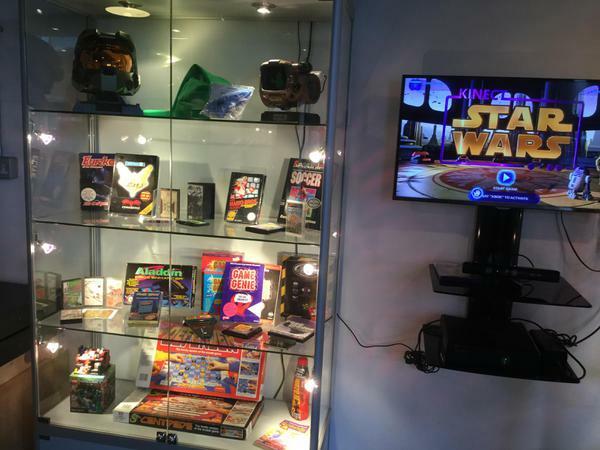 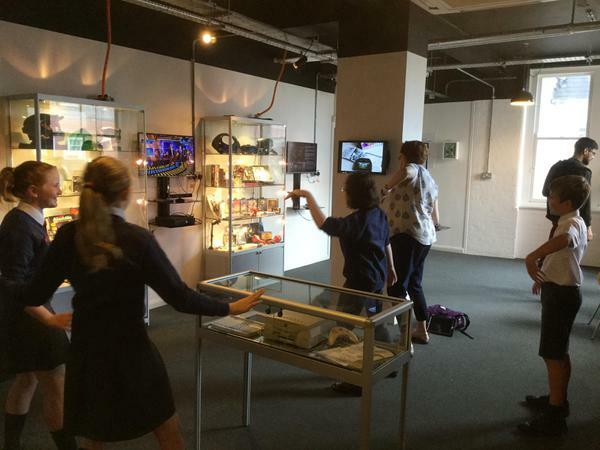 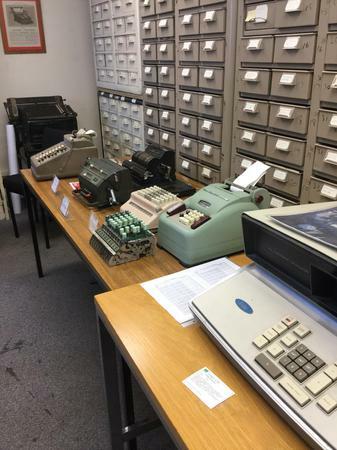 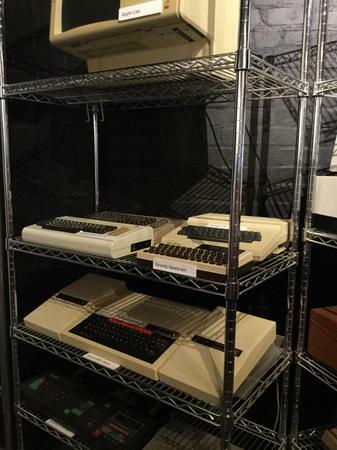 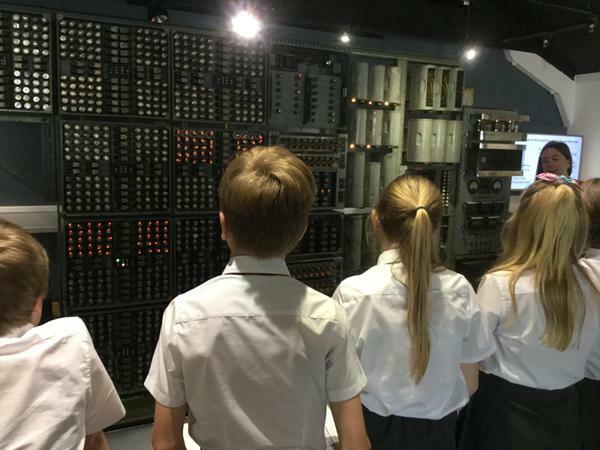 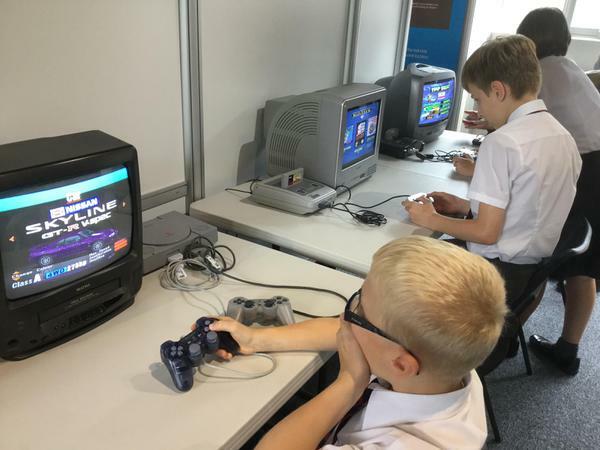 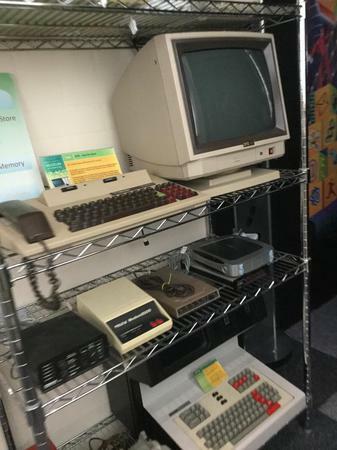 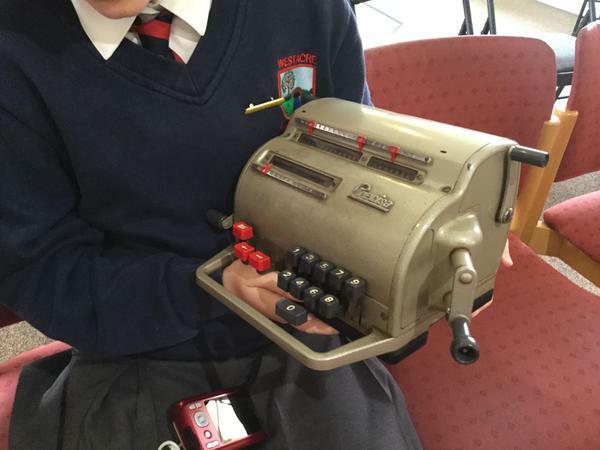 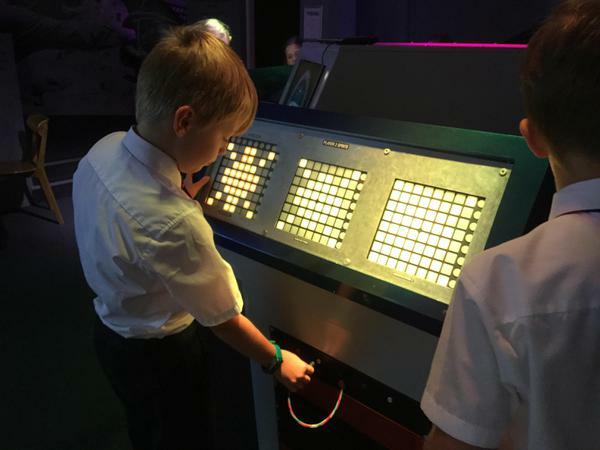 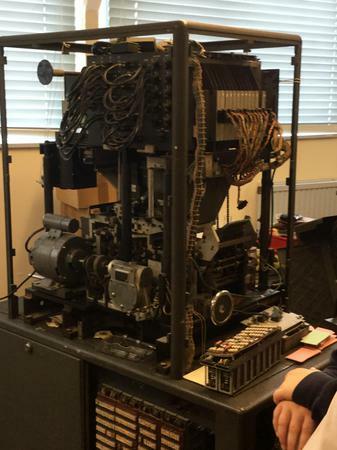 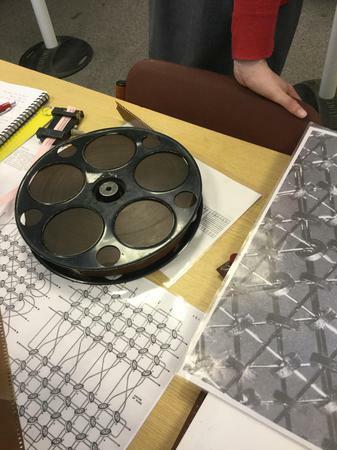 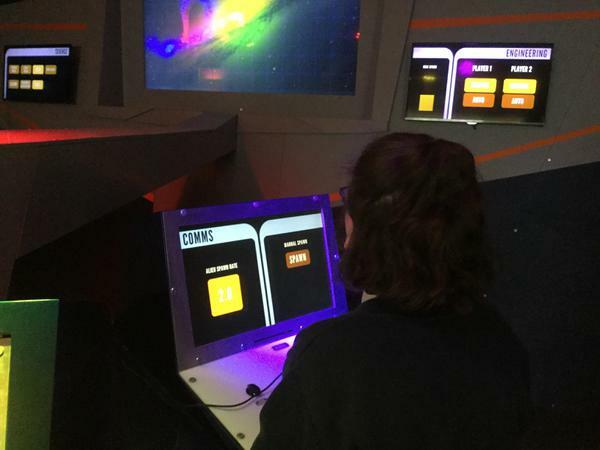 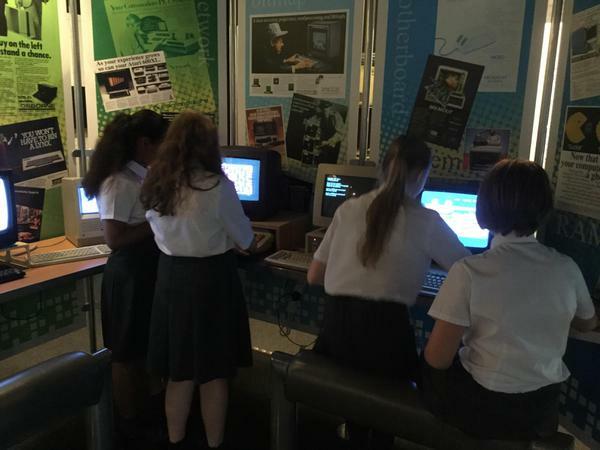 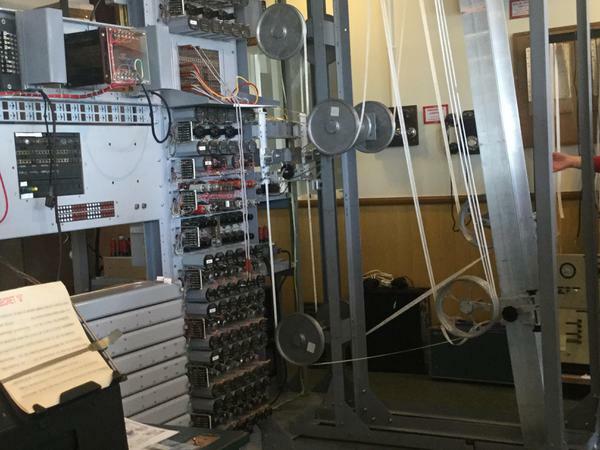 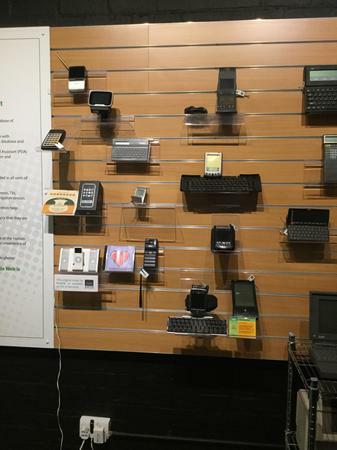 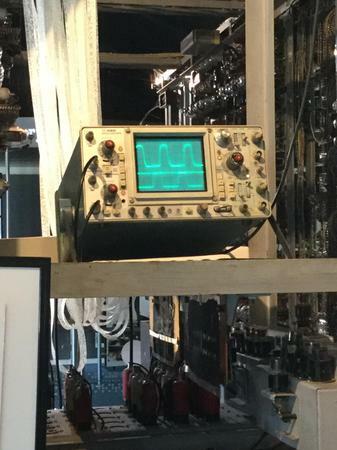 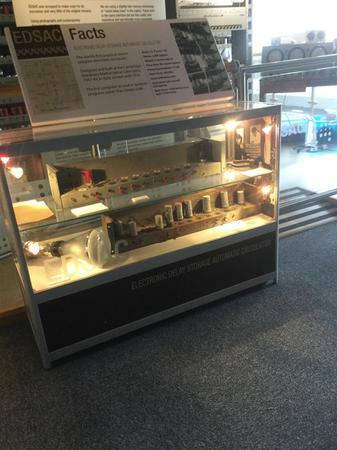 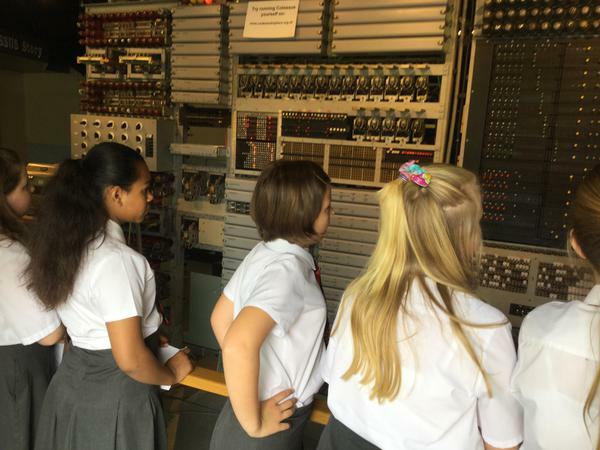 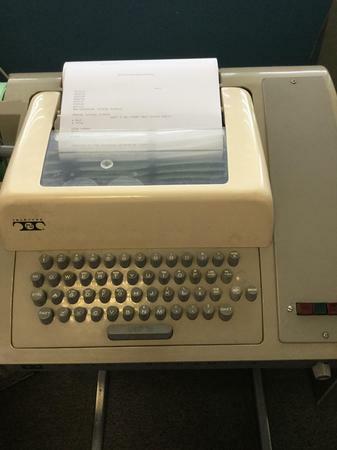 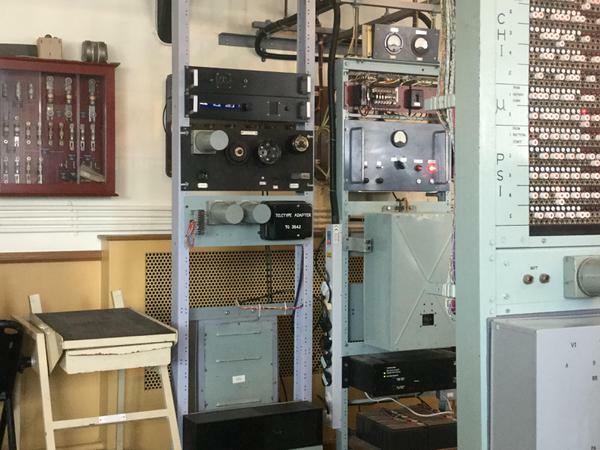 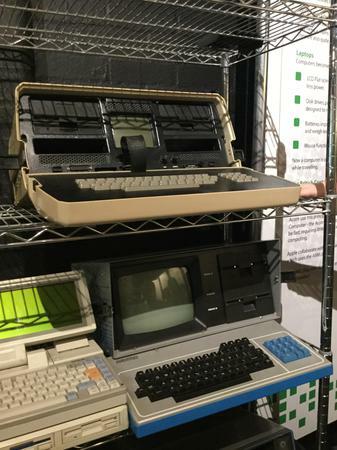 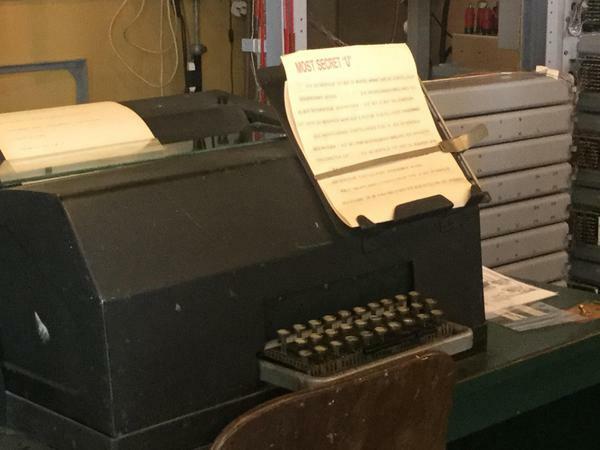 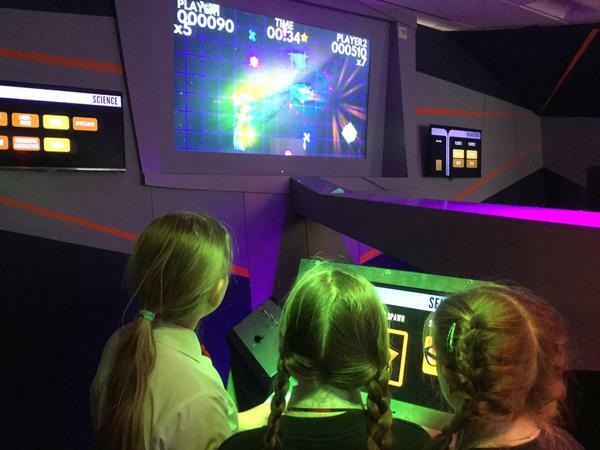 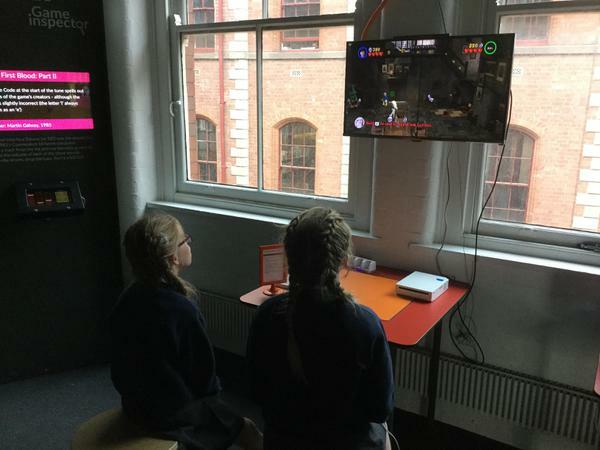 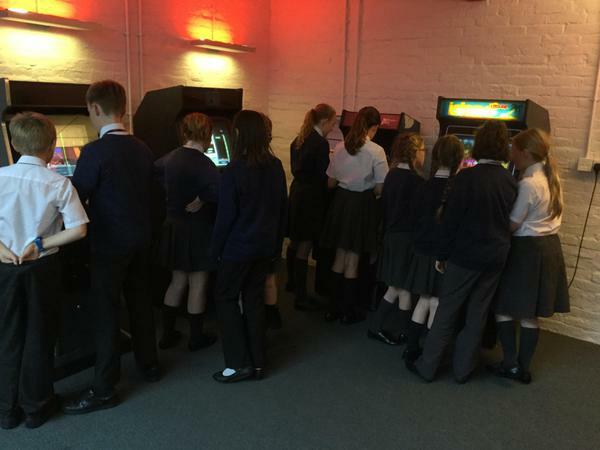 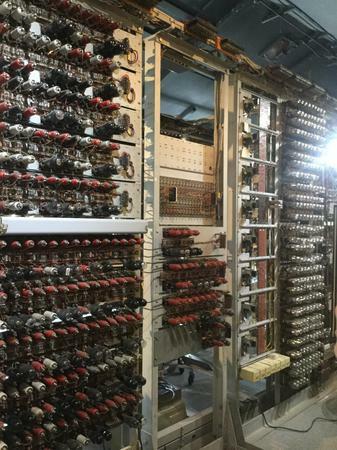 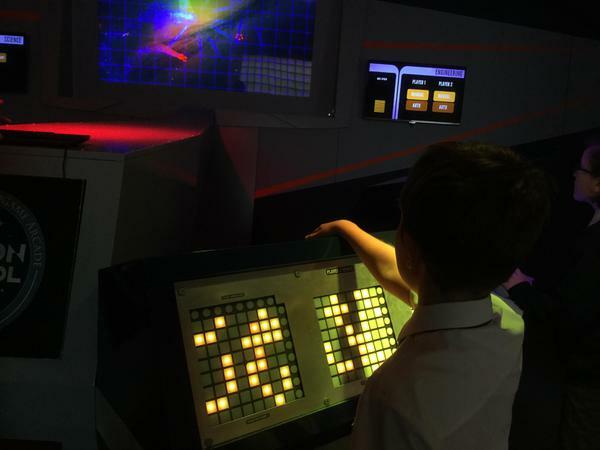 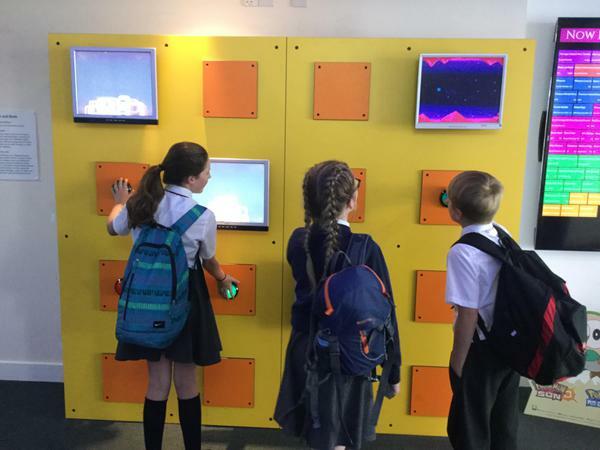 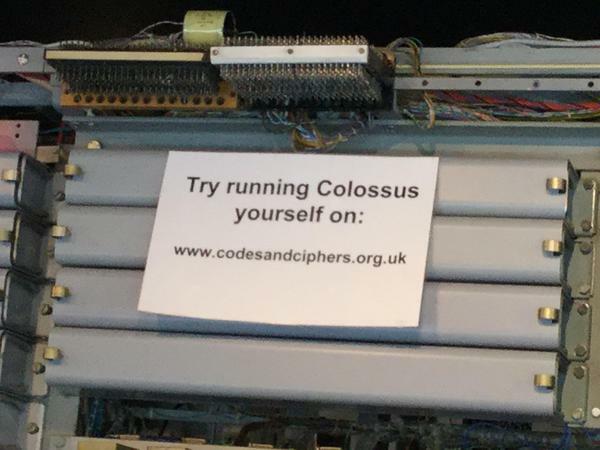 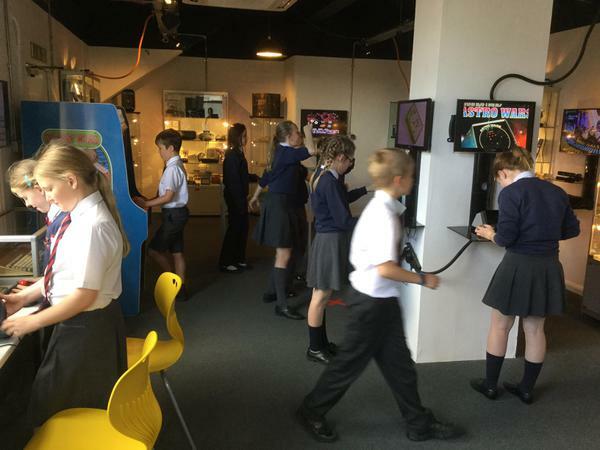 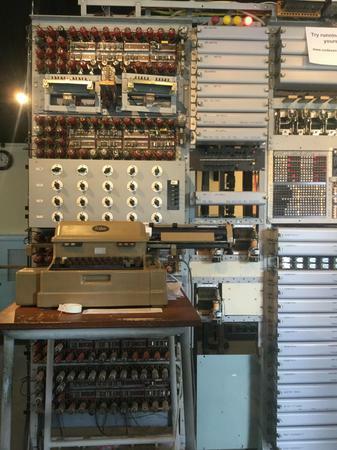 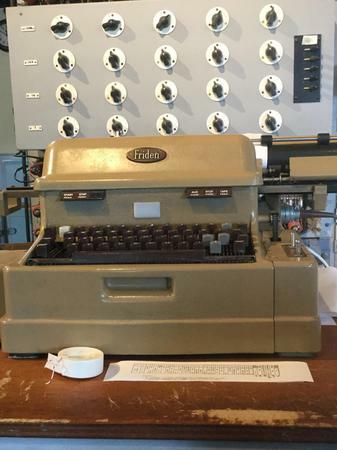 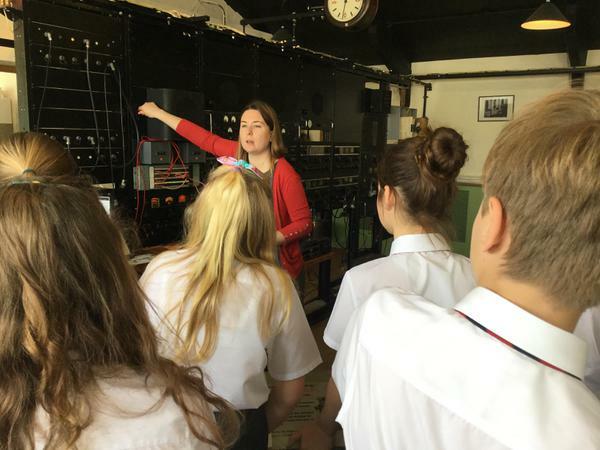 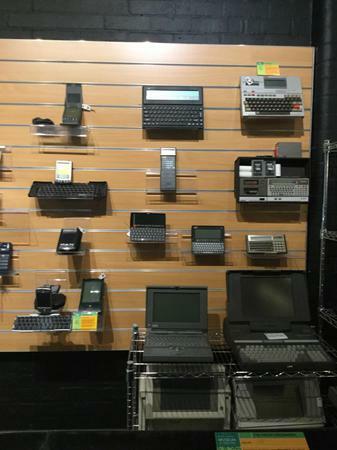 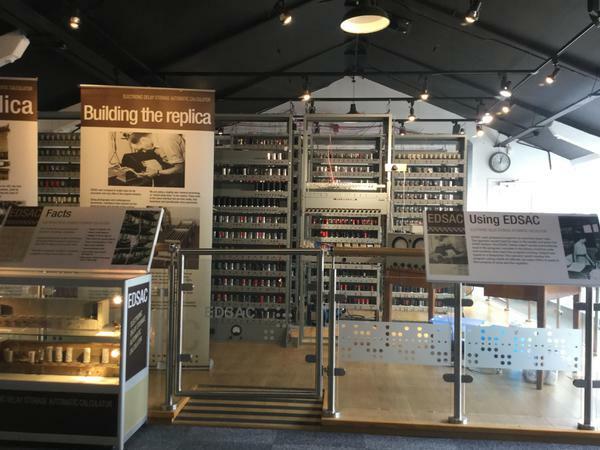 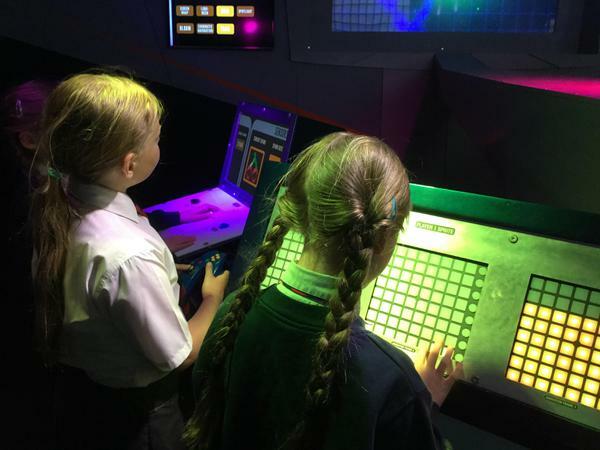 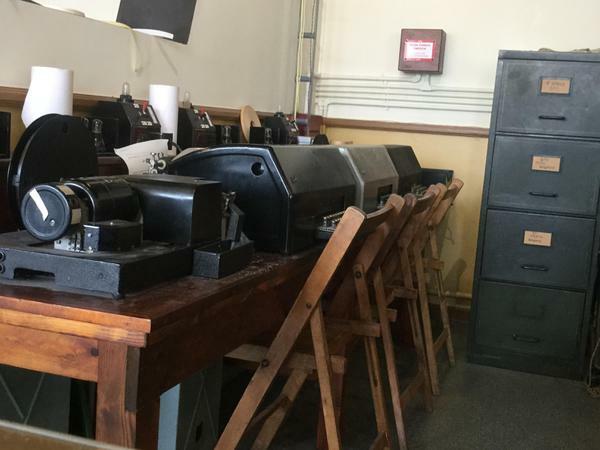 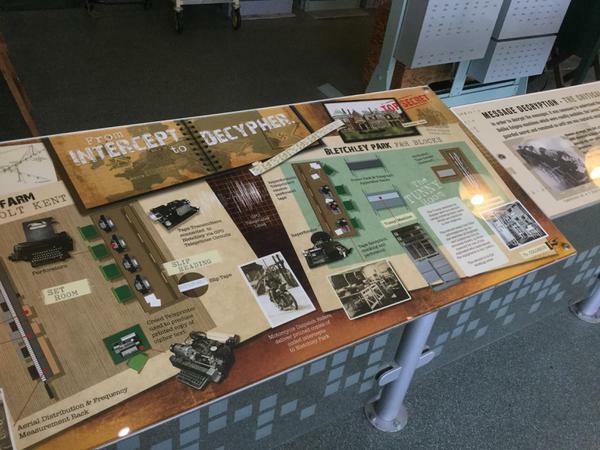 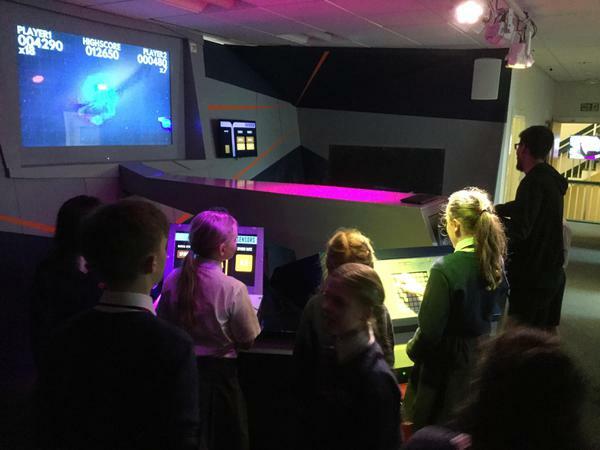 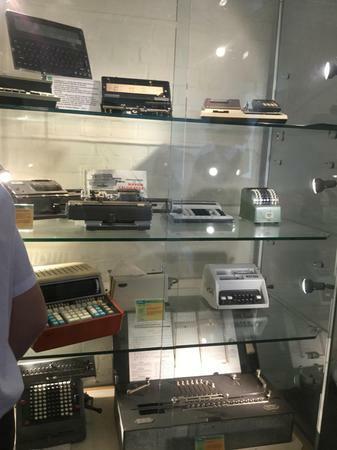 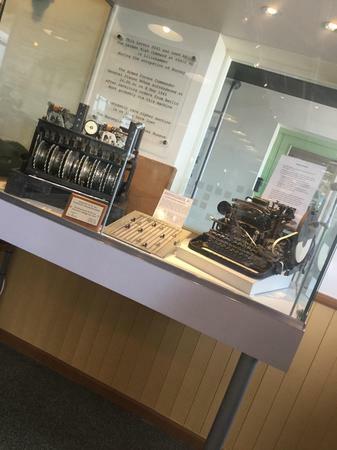 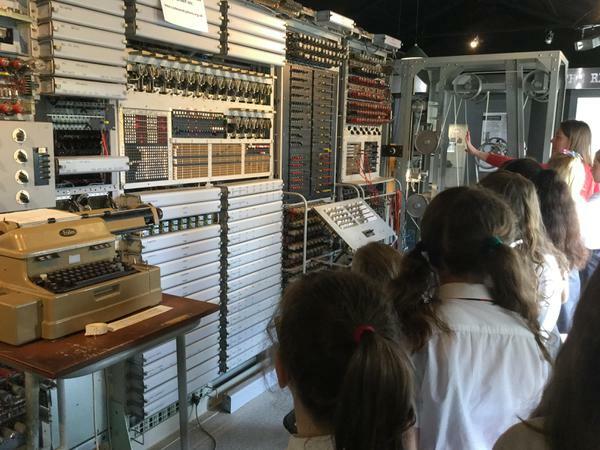 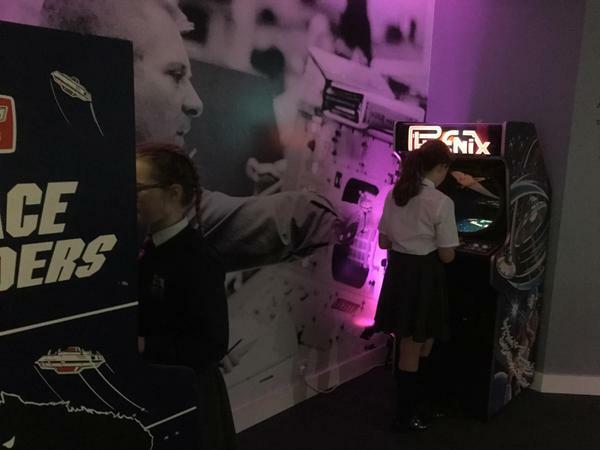 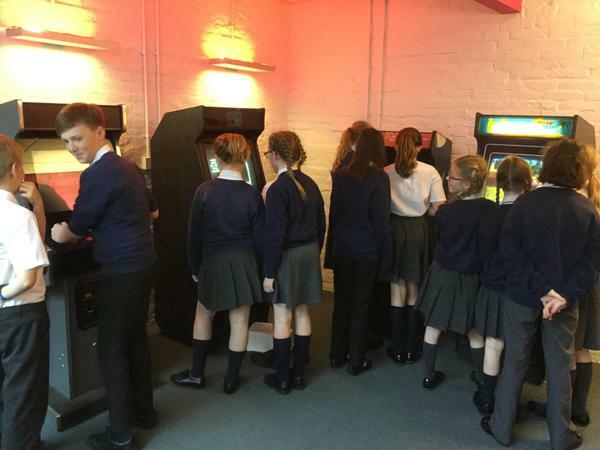 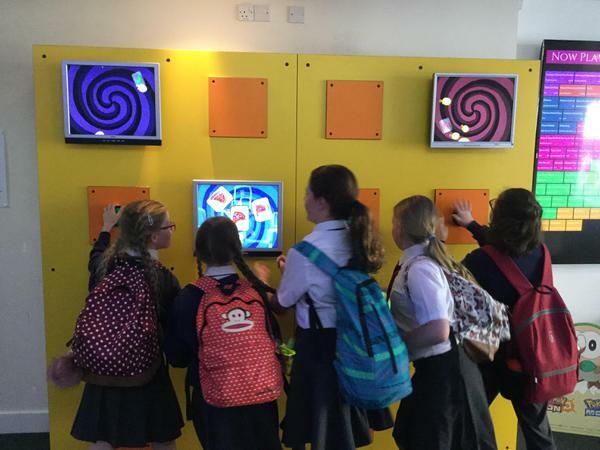 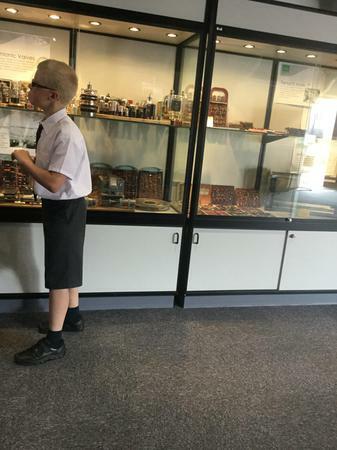 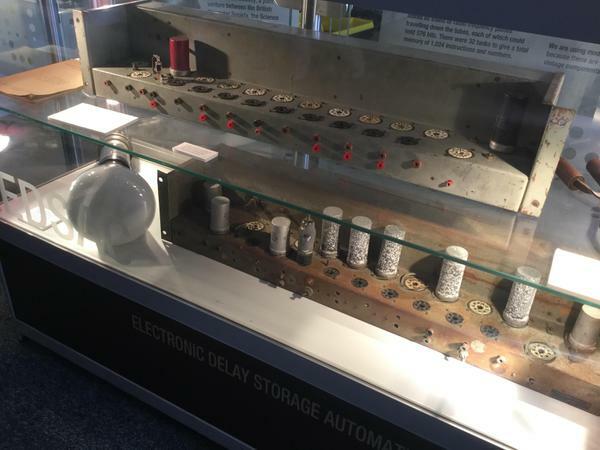 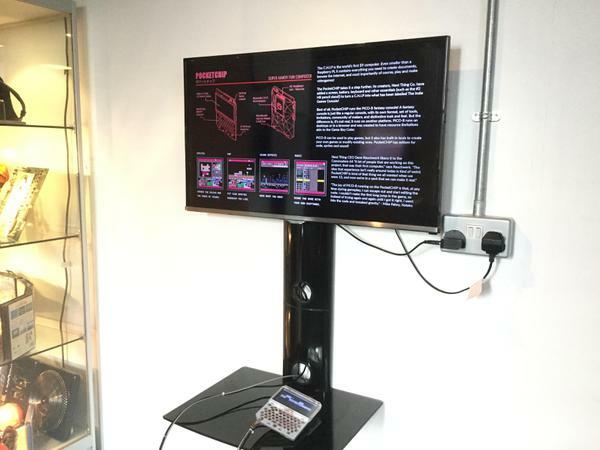 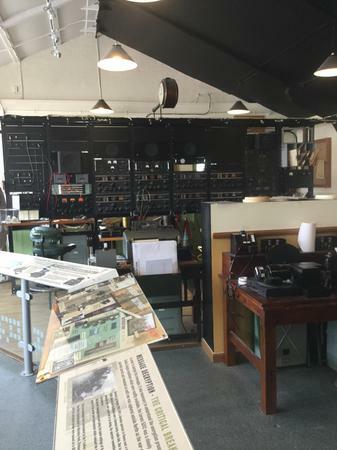 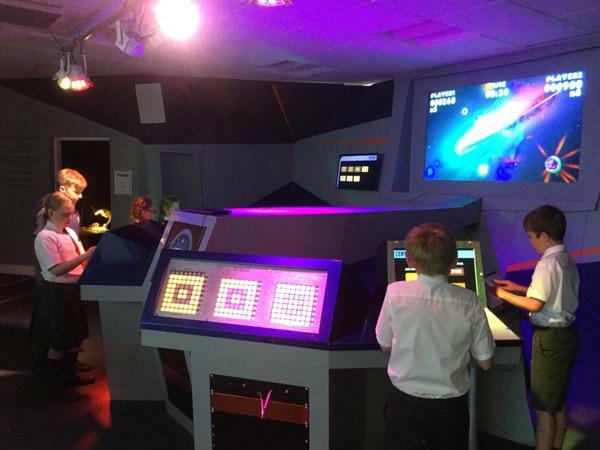 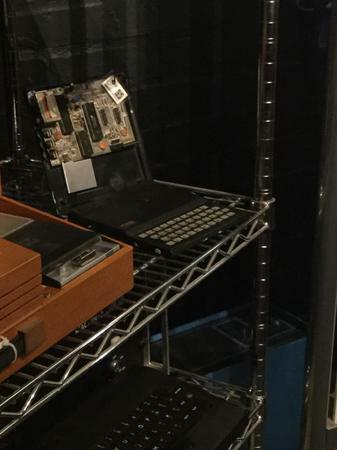 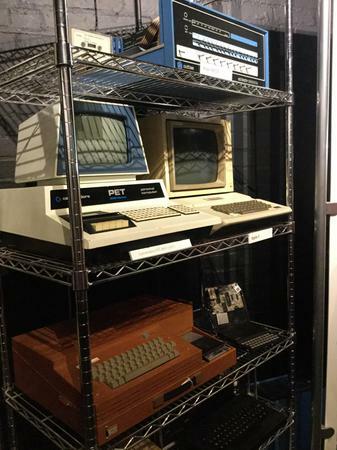 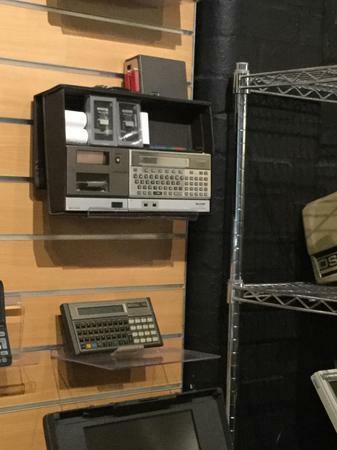 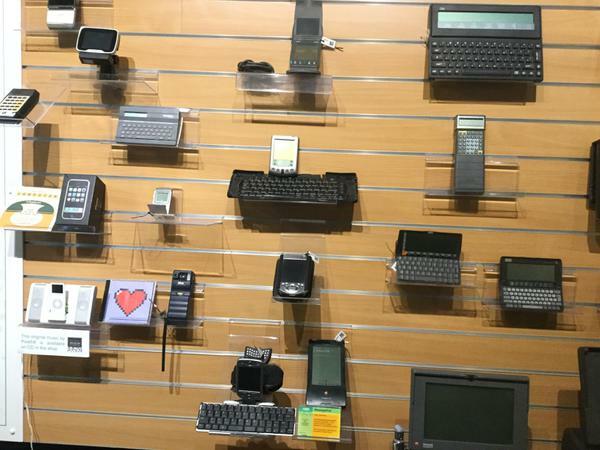 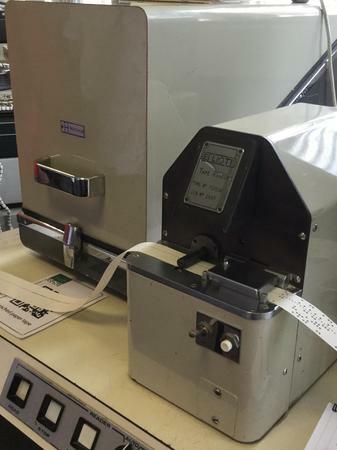 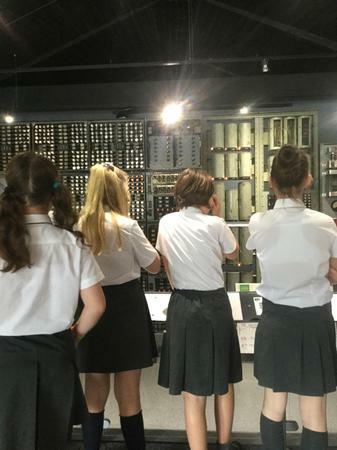 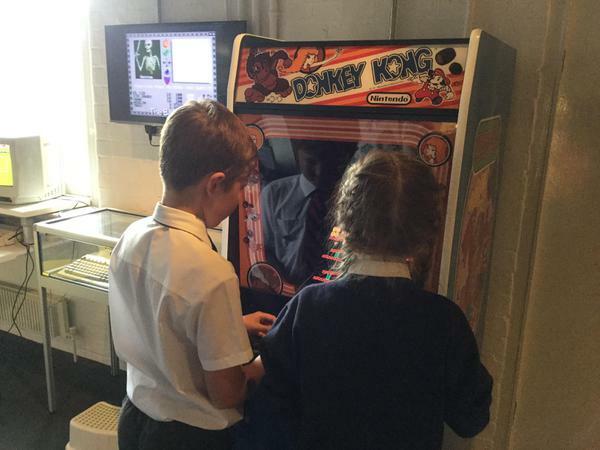 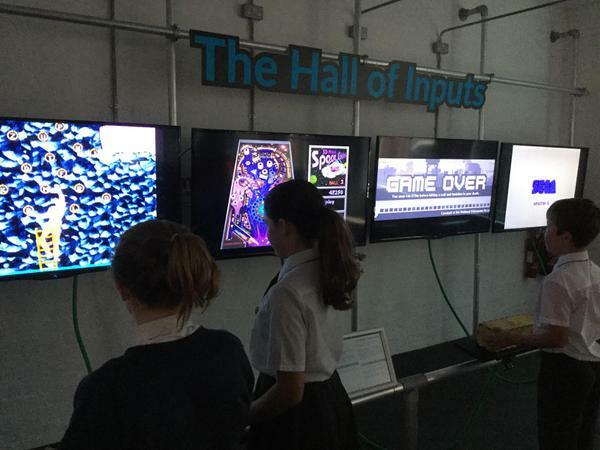 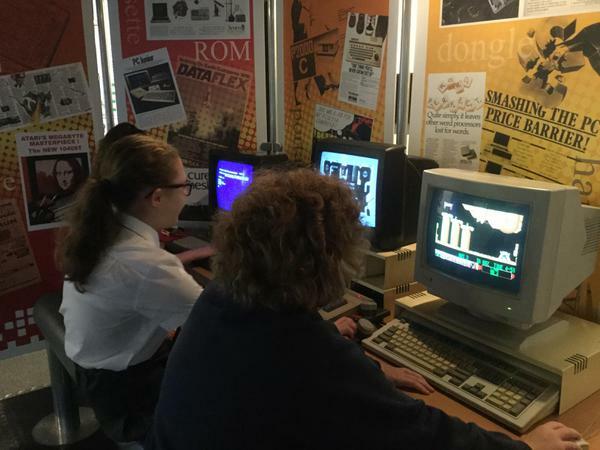 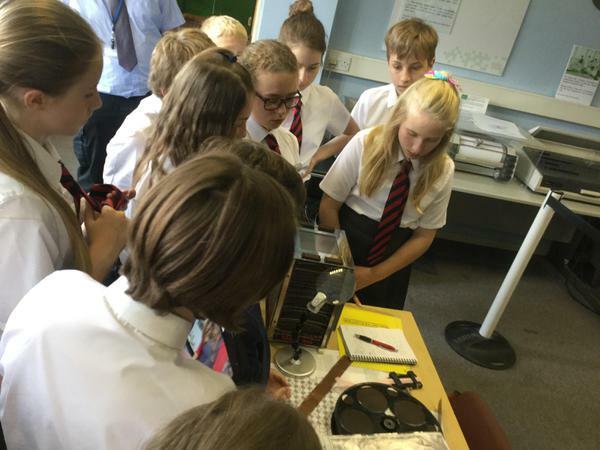 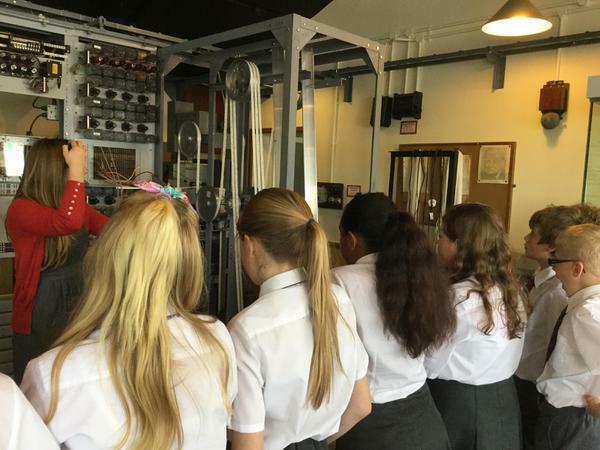 For our annual school Computing trip, Cyber Council members visited The National Museum of Computing. 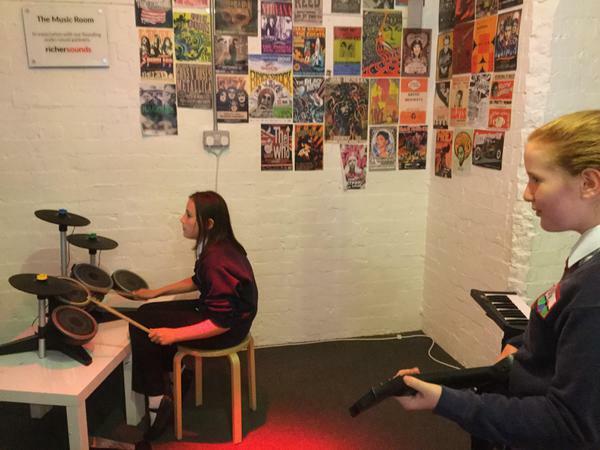 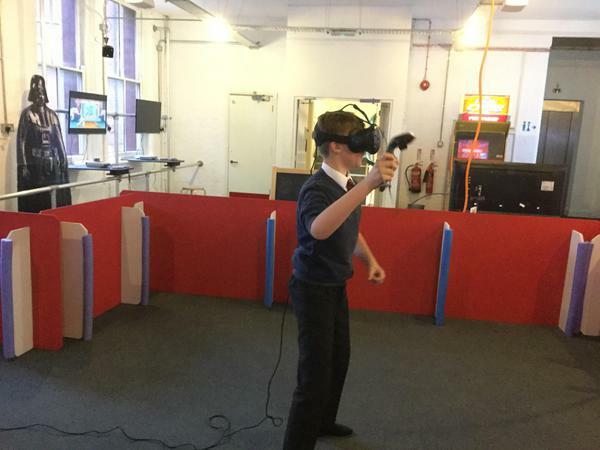 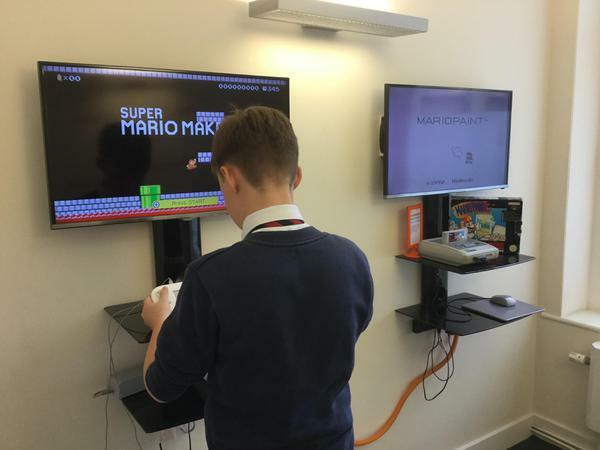 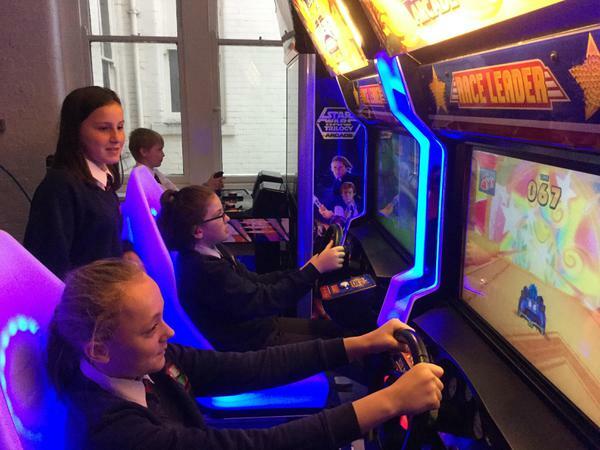 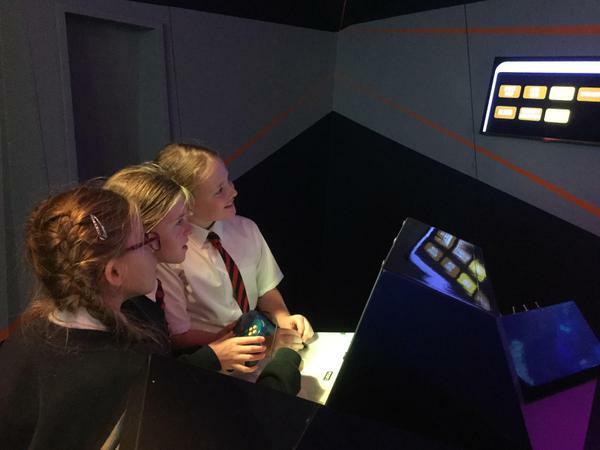 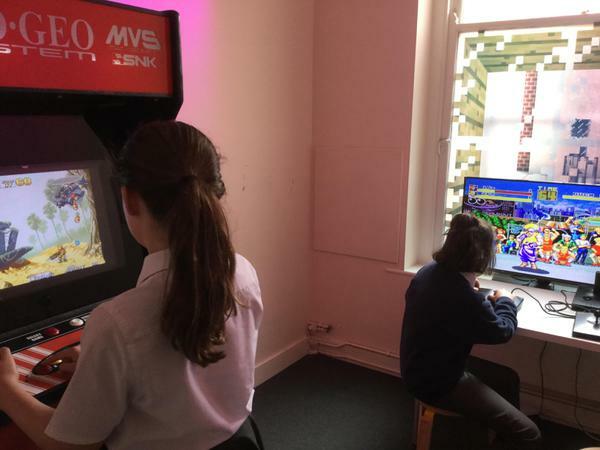 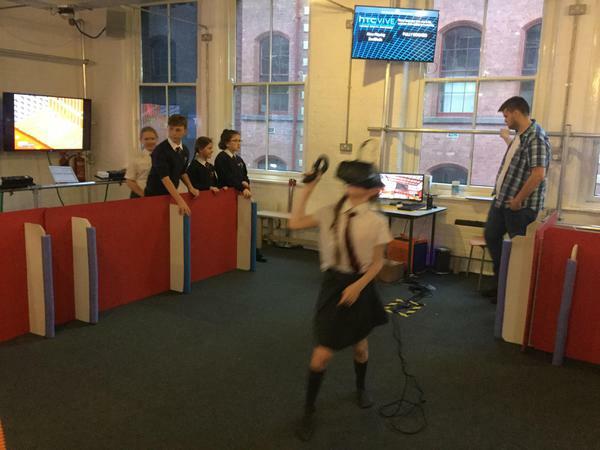 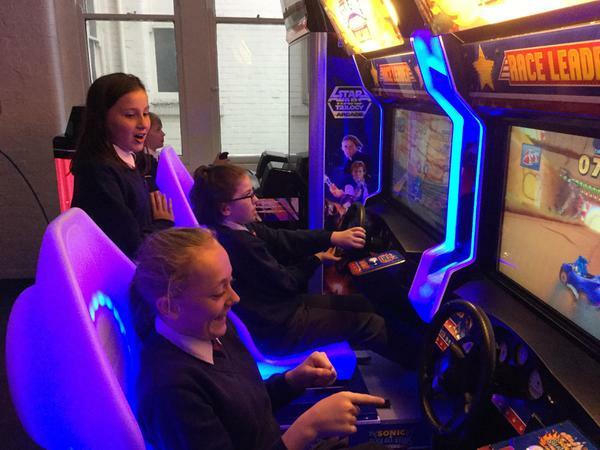 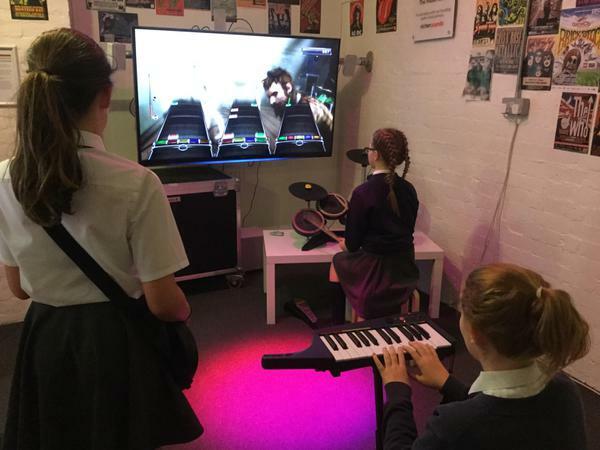 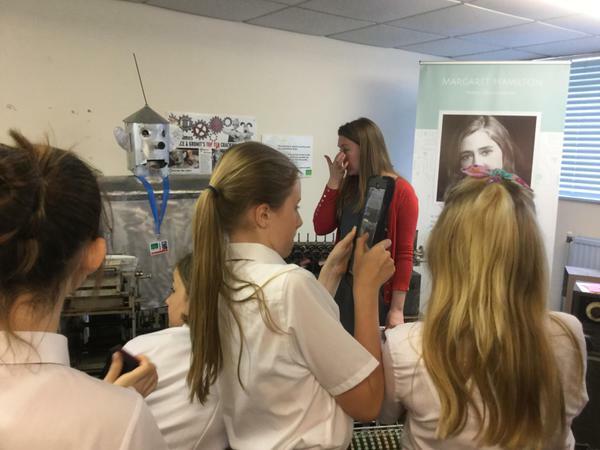 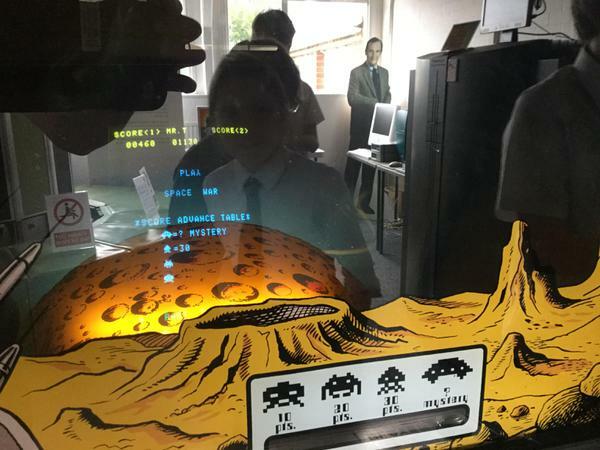 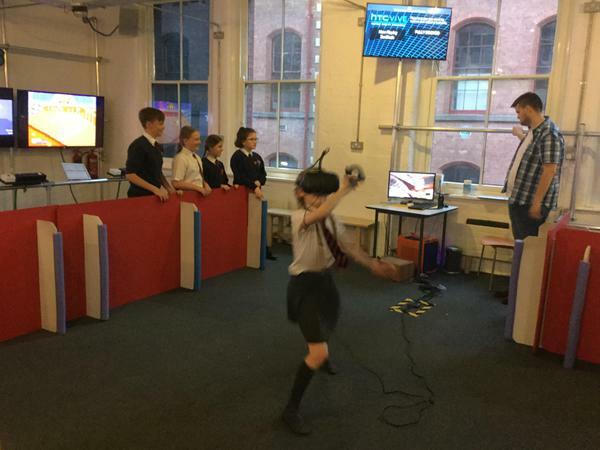 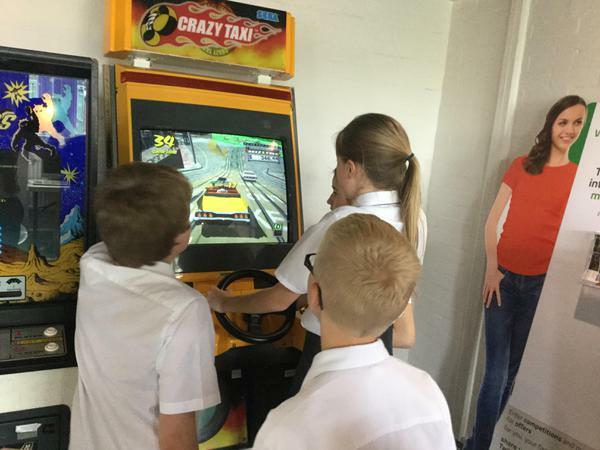 The visit was arranged as a reward for the excellent work of our digital leaders already this year, and also to help develop their understanding of technology, computers and E-safety even further. 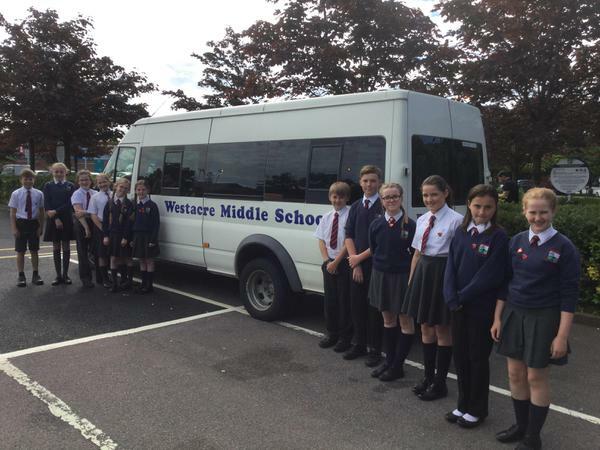 Well done to all of the pupils involved in this special day out! 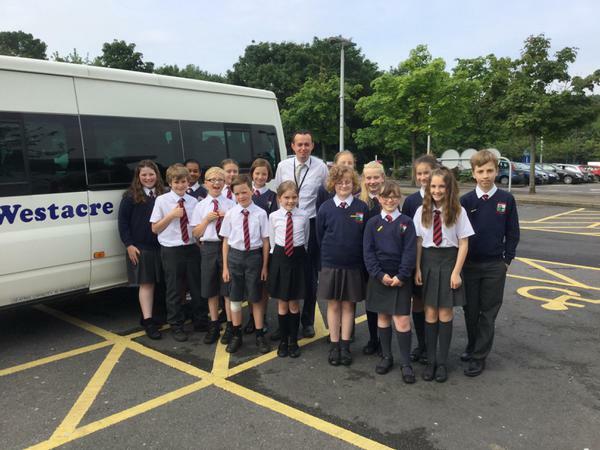 They showed fantastic effort, attitude and behaviour (right up until our return to school at 5pm)! 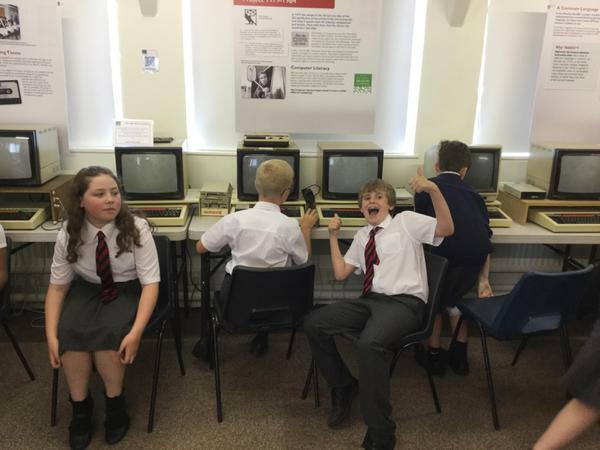 Here are some more photographs from the day, this time taken by Mr Barber and Mr Thomas. 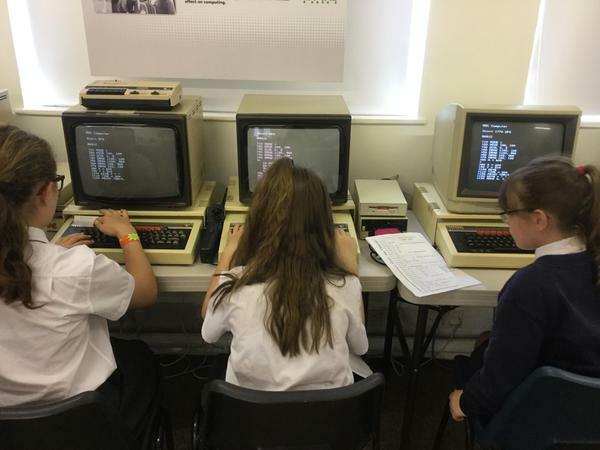 Cyber Council will now be challenged to share what they have learned back in school, teaching their classmates about code breaking, encryption and the history of computers (as well as maybe even what the future holds for technology and computers!). 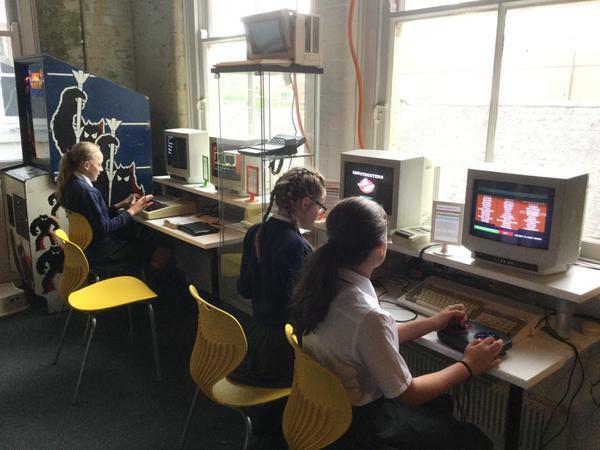 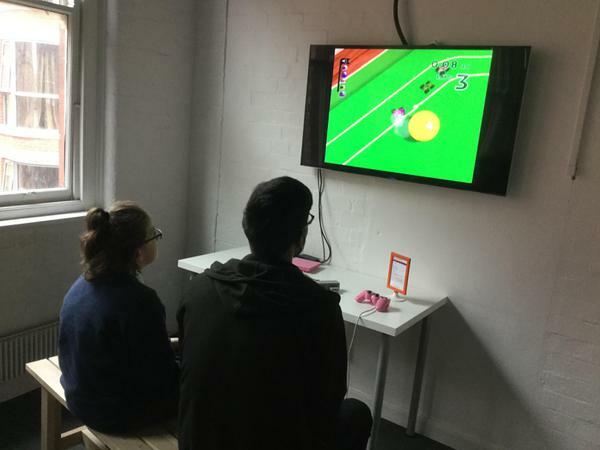 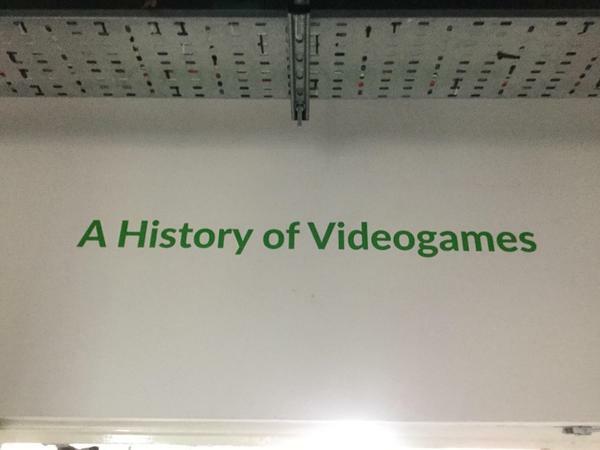 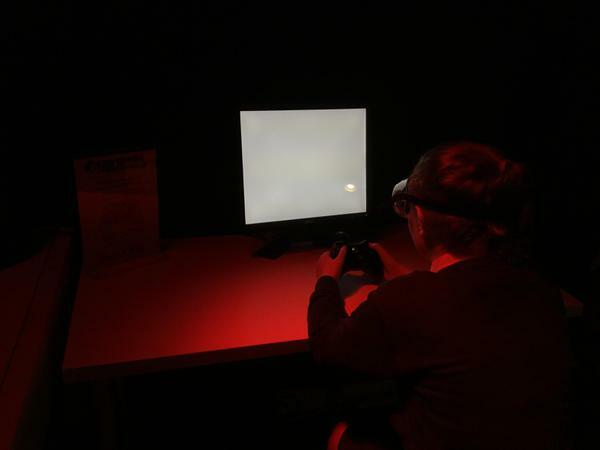 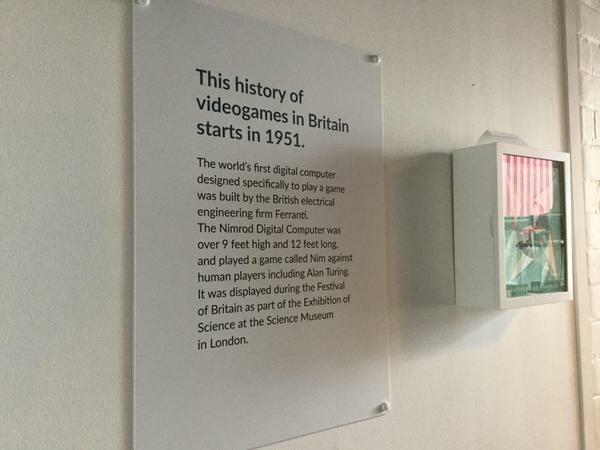 "I loved playing old video games and coding." 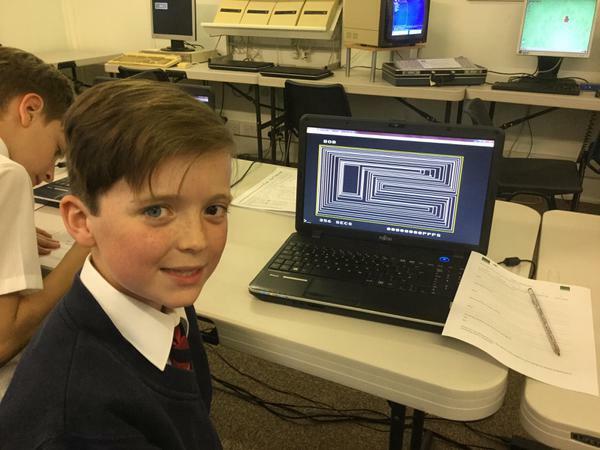 "My favourite part was looking at the different codes." 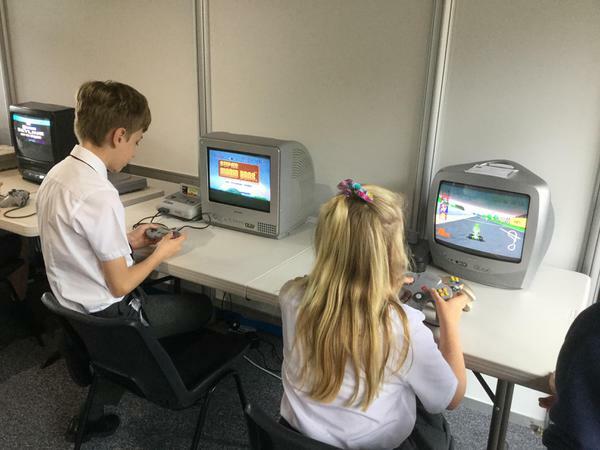 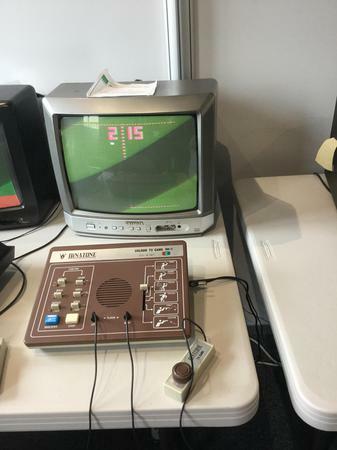 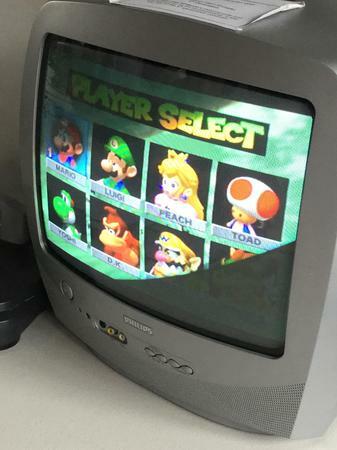 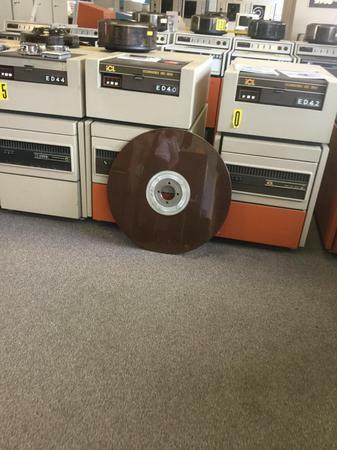 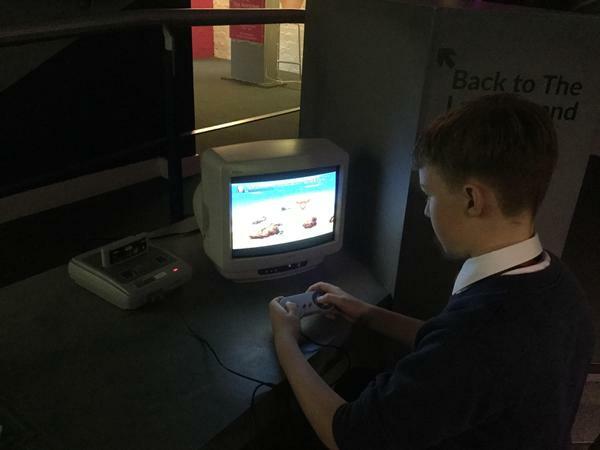 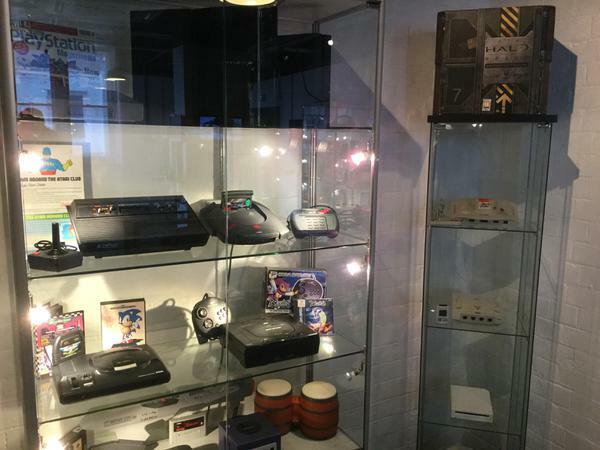 "Playing on the old computer consoles was amazing!" 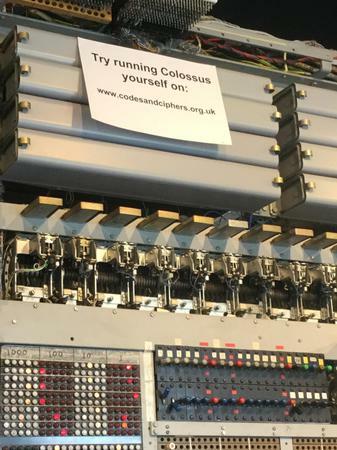 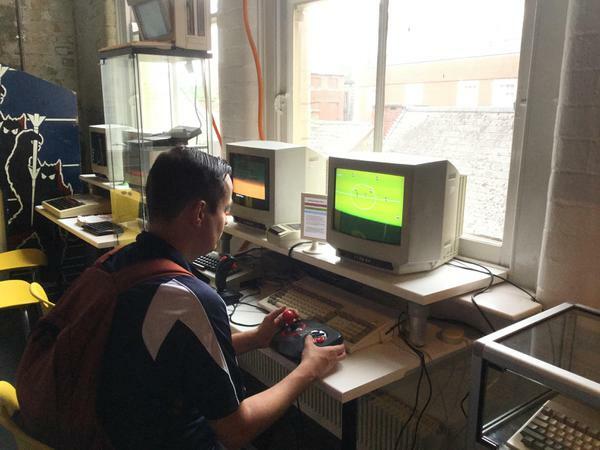 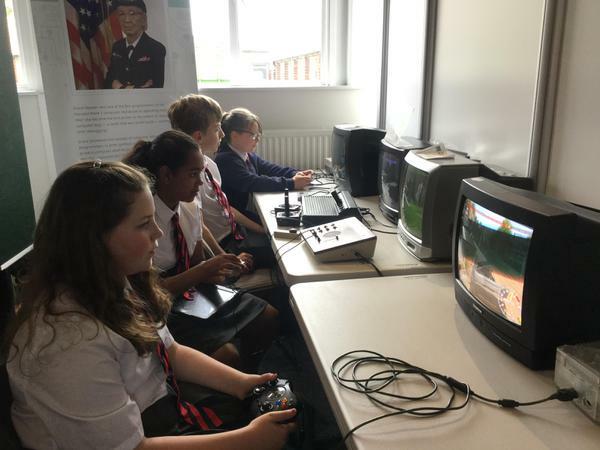 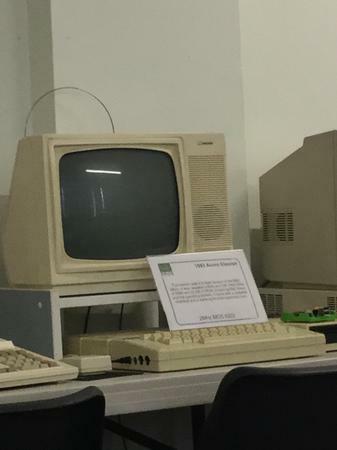 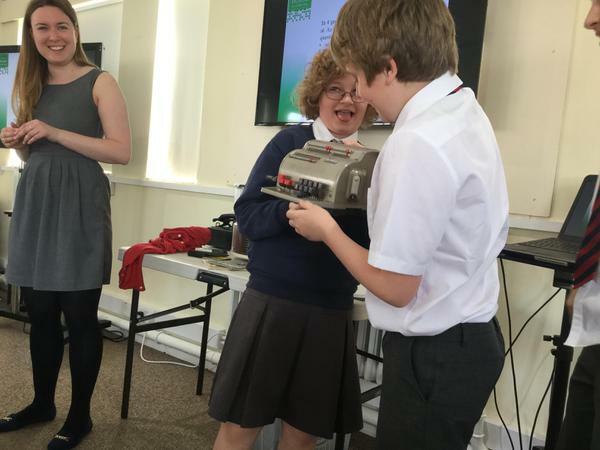 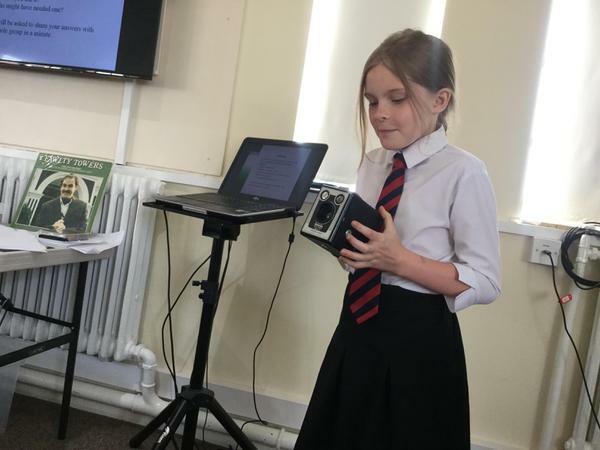 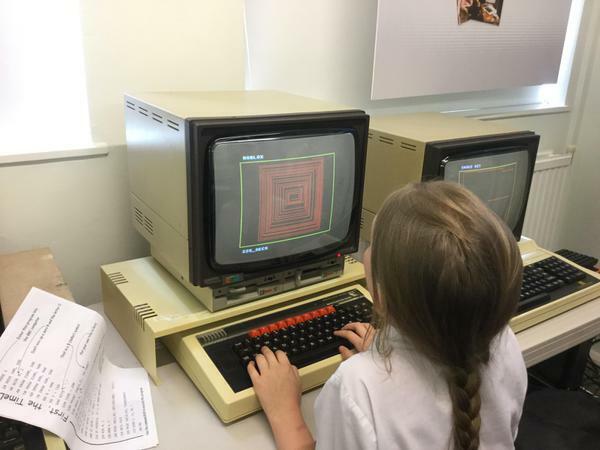 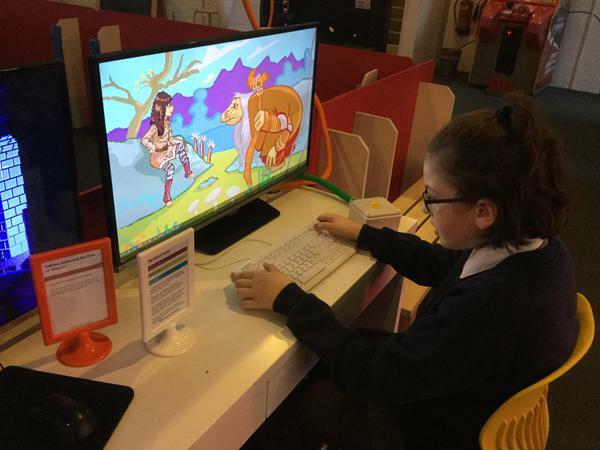 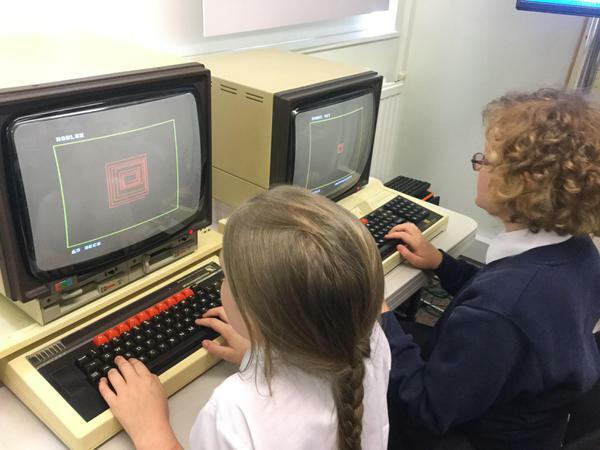 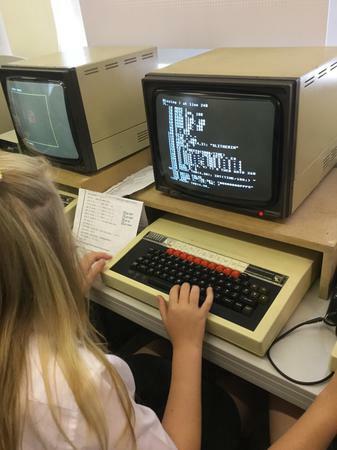 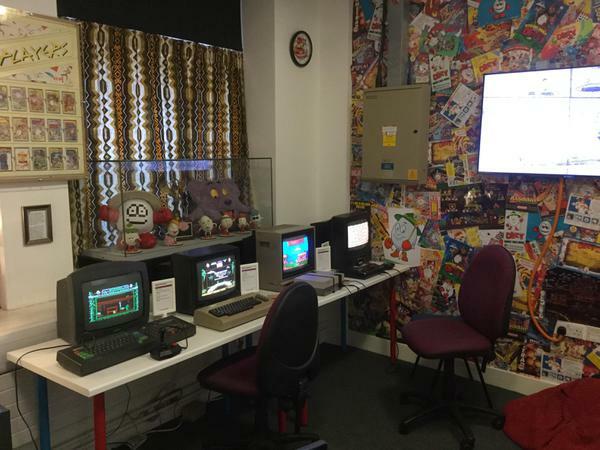 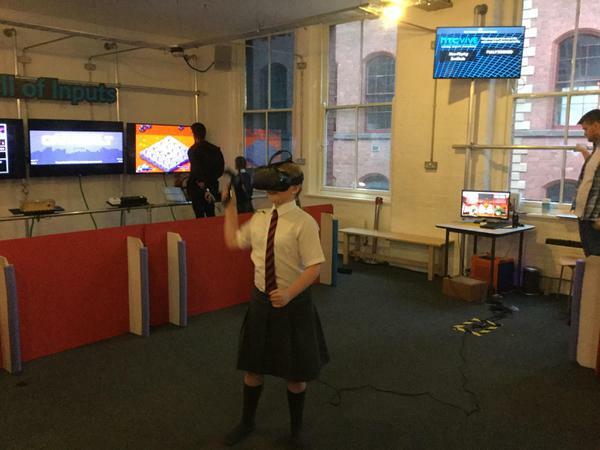 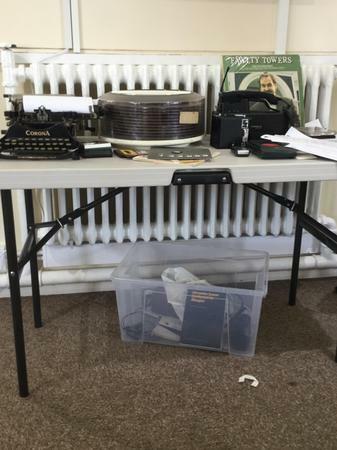 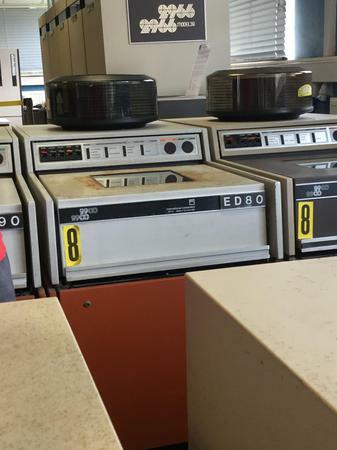 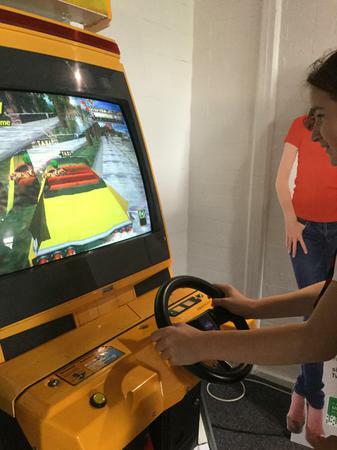 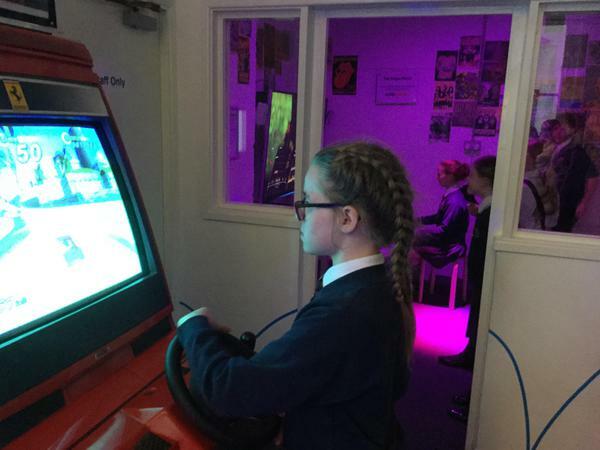 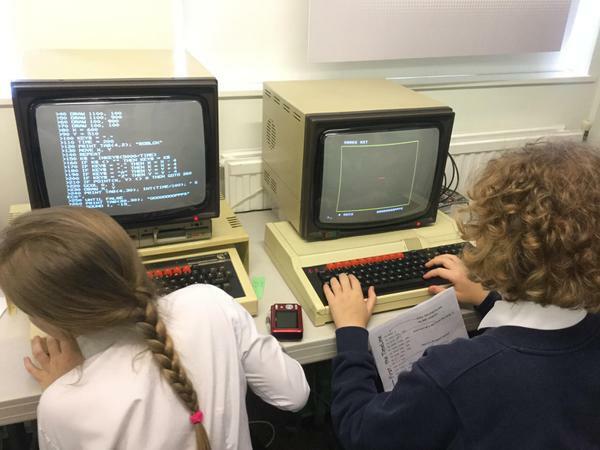 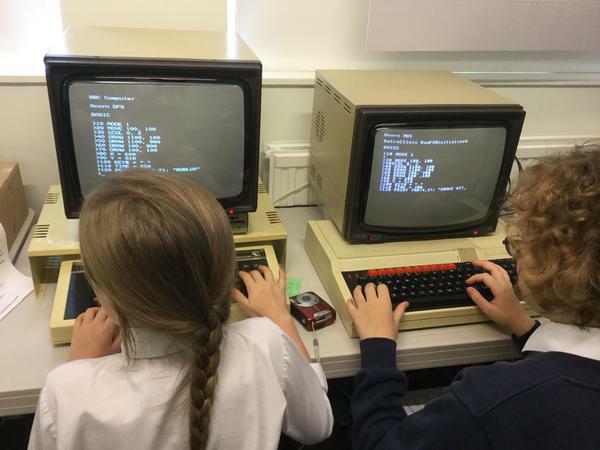 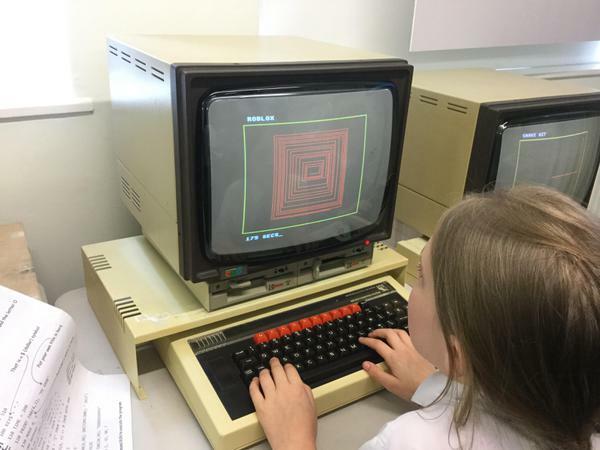 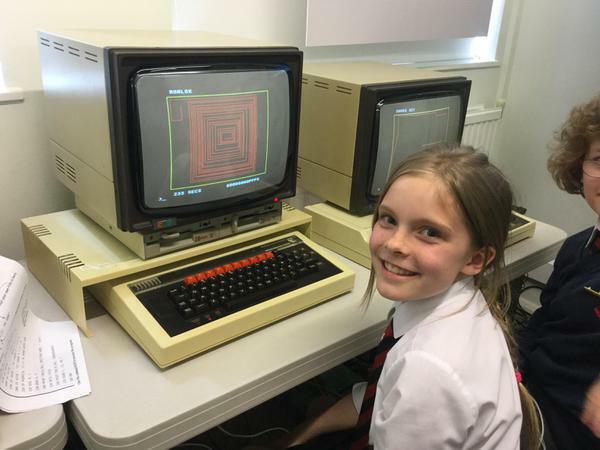 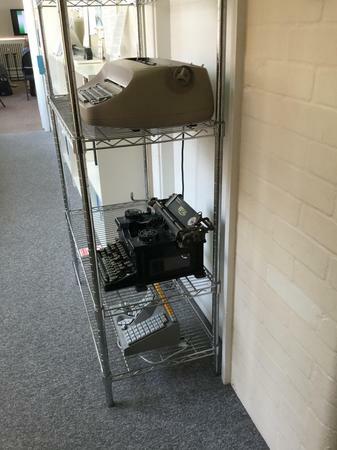 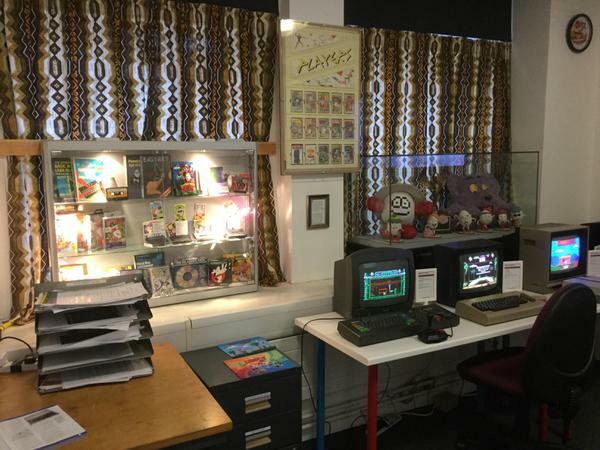 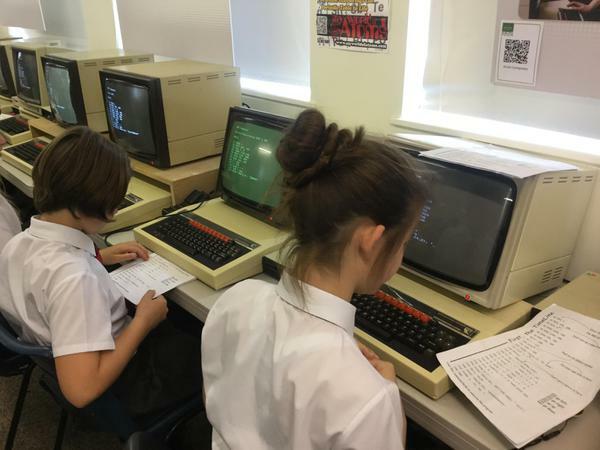 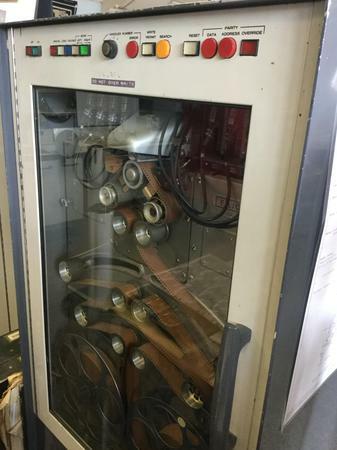 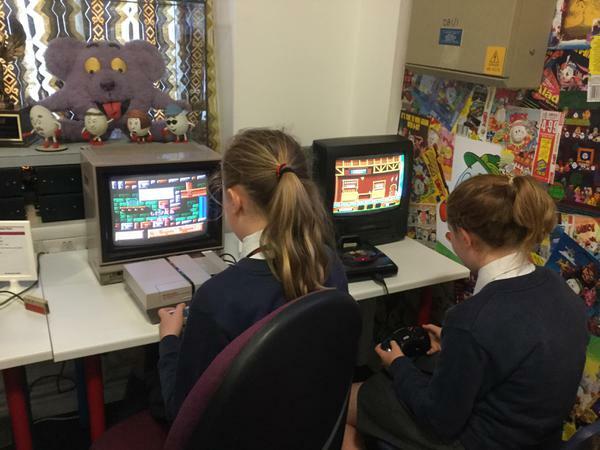 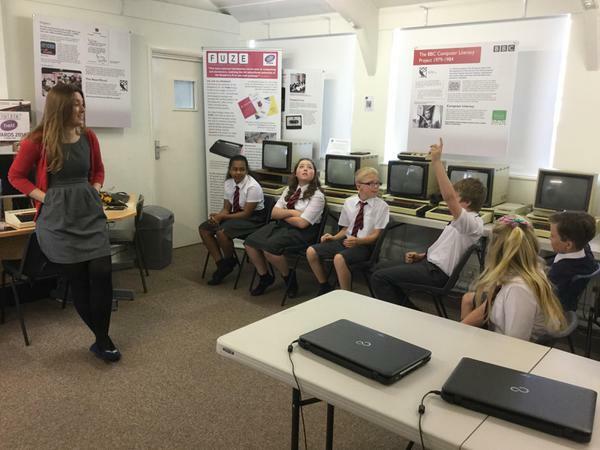 "Seeing the Collosus computer and finding out about other older computers was my favourite part of the day!" 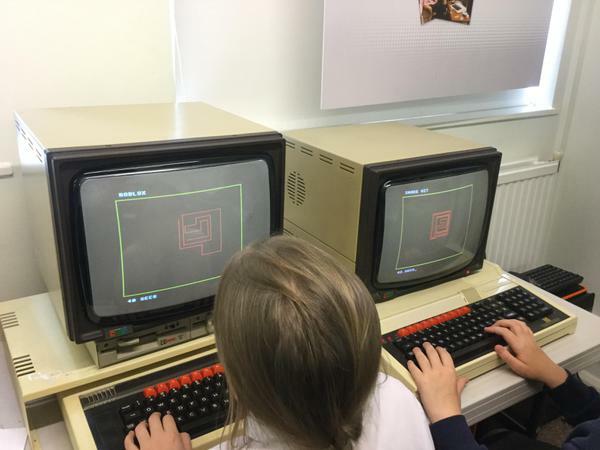 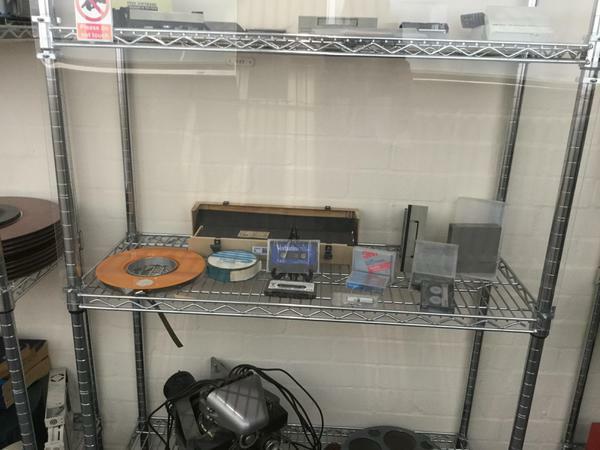 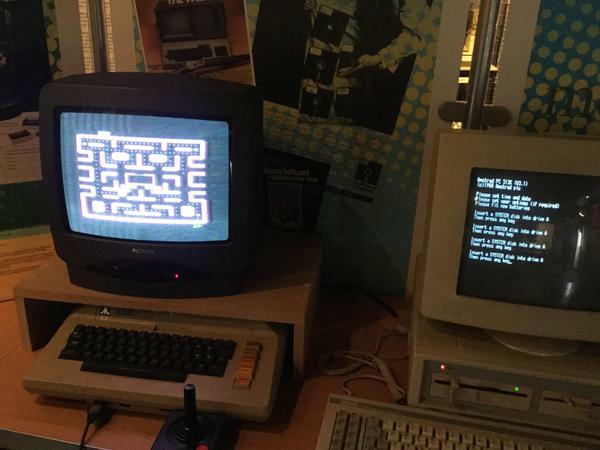 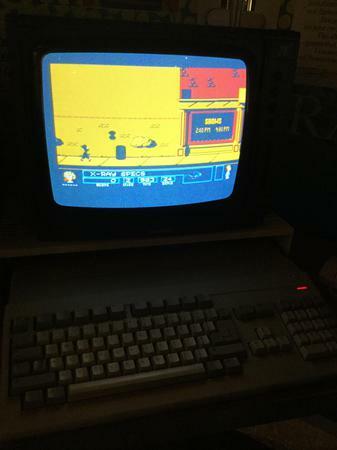 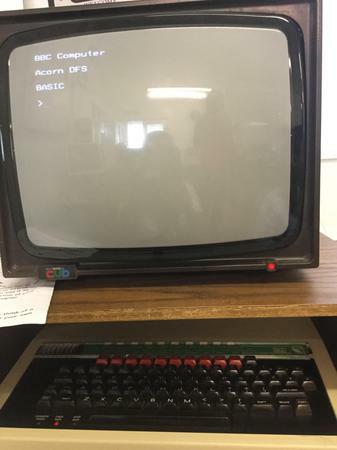 " I really enjoyed playing on the 1982 BBC Micro Computer." 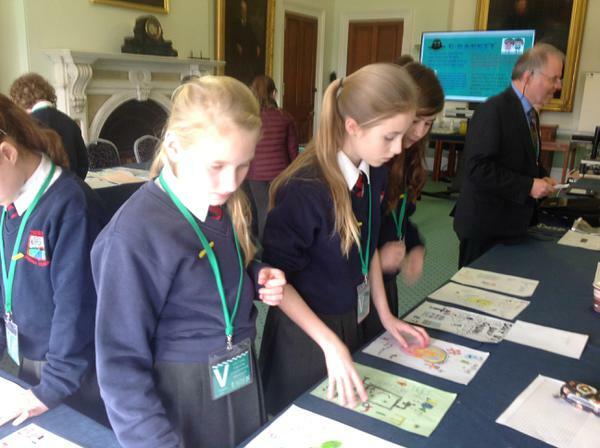 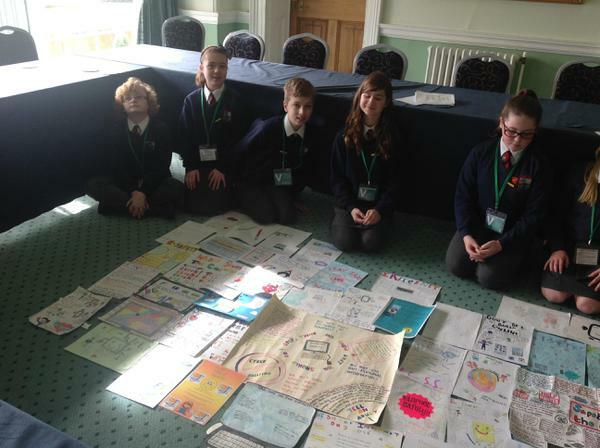 All of our Cyber Council members played their part in judging over 1,000 entries from across Worcestershire to our E-Safety poster competition. 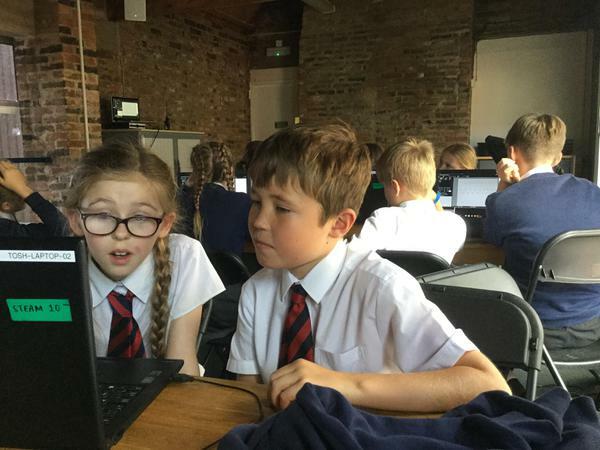 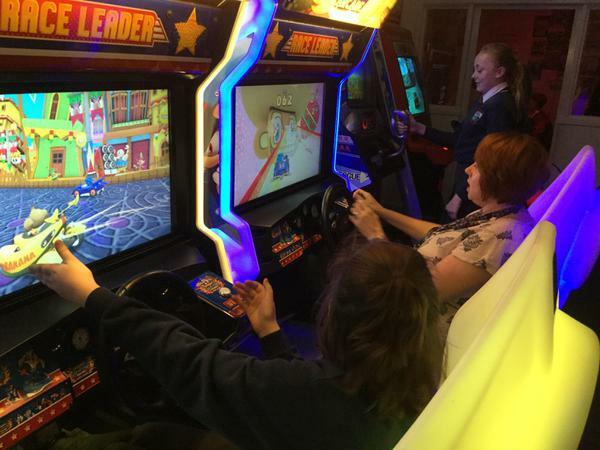 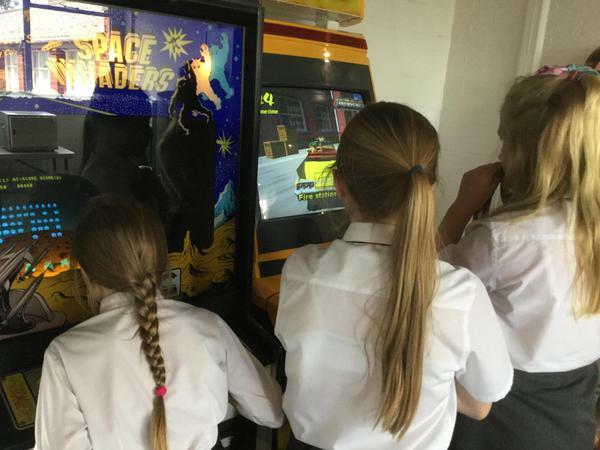 The newest Westacre digital leaders worked together in school to pick out the top 50 entries, which were then taken to Hindlip Hall by the rest of the pupil-led group. 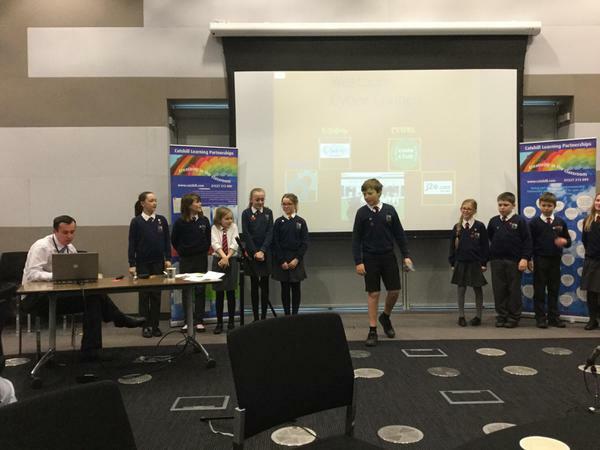 Here, nine members of Cyber Council were joined by a range of experts in the field (including the West Mercia Deputy Police and Crime Commissioner and staff from J2E) to select the five prize-winning entries. 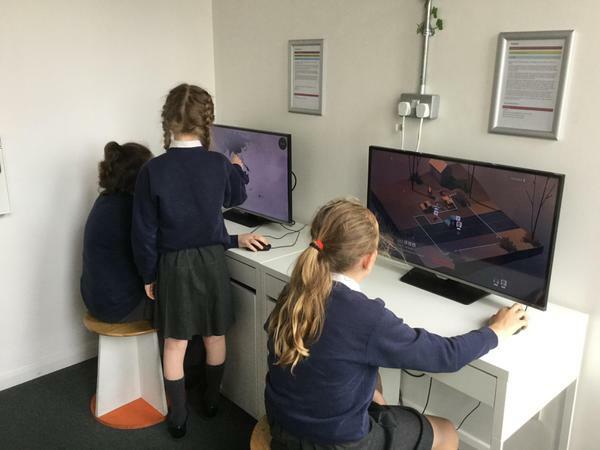 All of the children worked incredibly well together and impressed all of the people they met with their ideas about online safety and their teamwork. 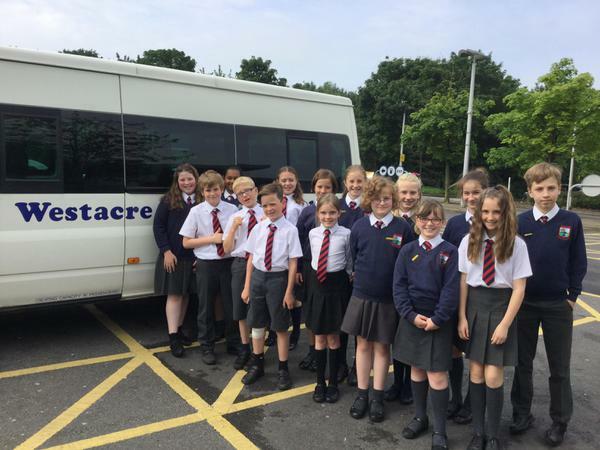 They thoroughly enjoyed the experience and came back to school with lots of ideas to implement back at Westacre! 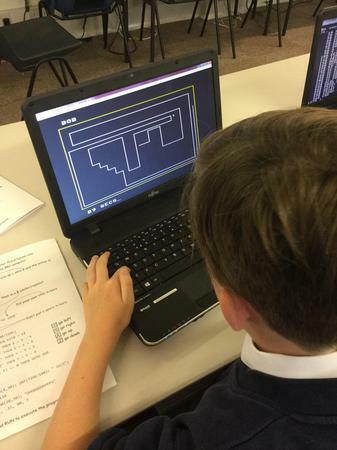 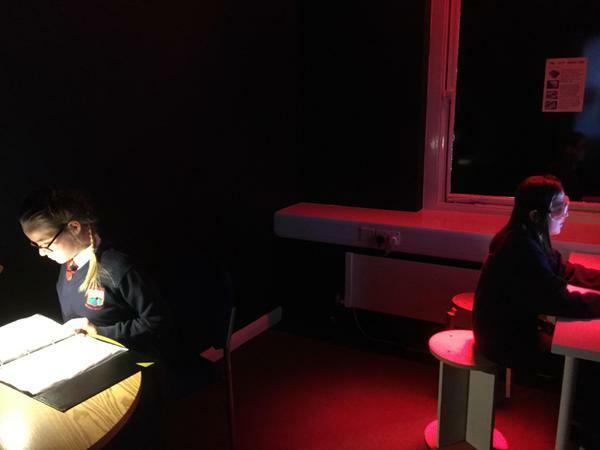 Click on the links below to see how busy our Cyber Council have been recently helping to keep pupils at Westacre and around Worcestershire safe online. 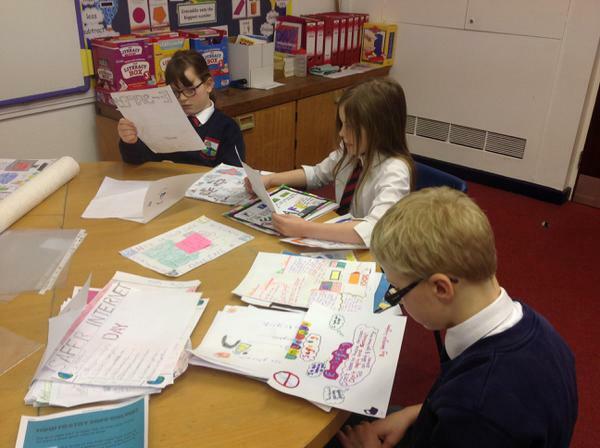 Lots to discuss and plan! 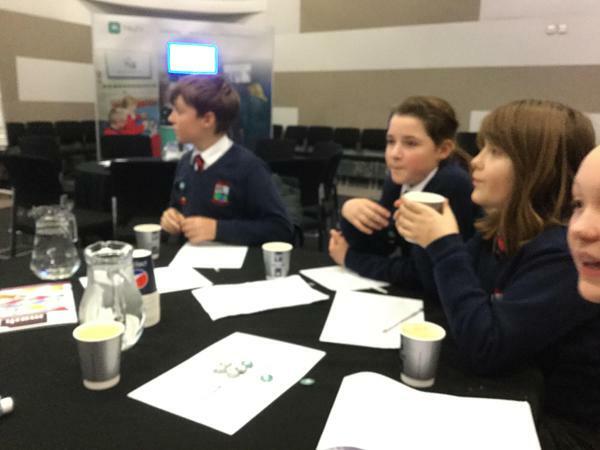 A big day for our Cyber Council! 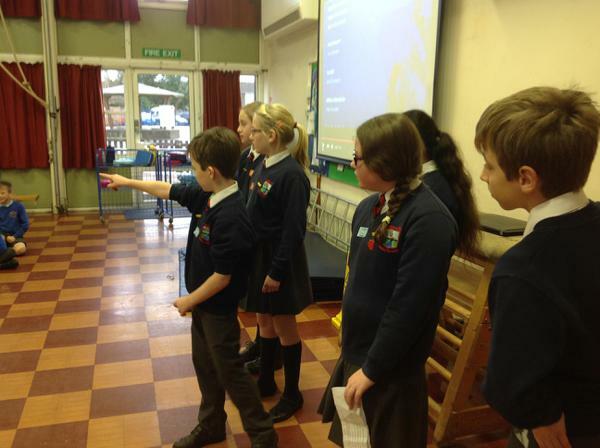 They led their very own whole school assembly introducing a range of events to mark Safer Internet Day. 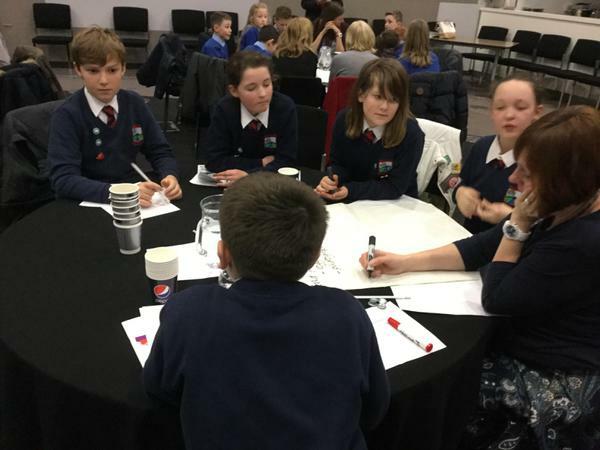 The assembly included the unveiling of a new E-Safety Report that the members of the Cyber Council have helped to create which all pupils can use to share any issues they may have. 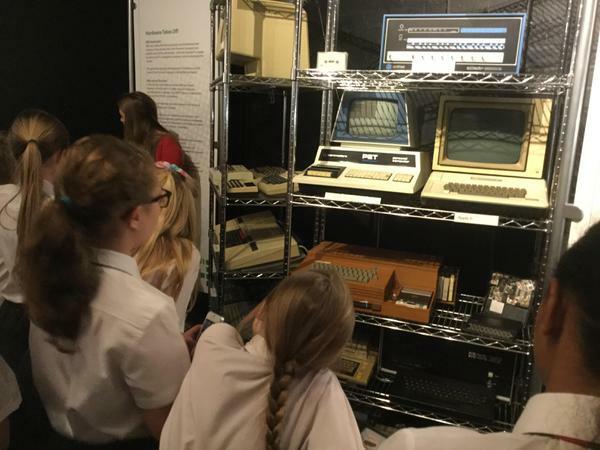 It also included information about our very own county-wide E-Safety initiative, as well as the announcement of which pupils have been successful in applying to join the Cyber Council. 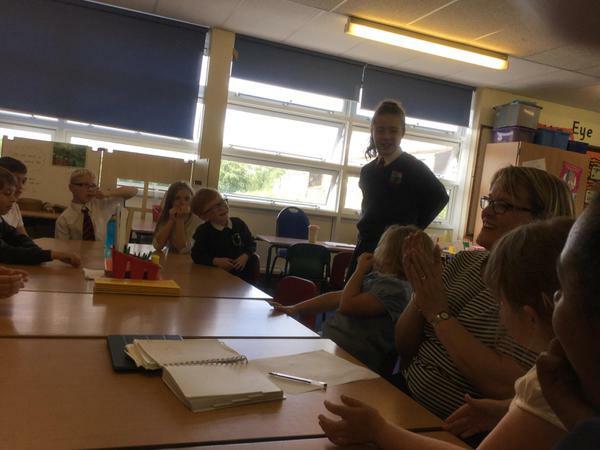 Despite the dozens of applications that were received, the current member were unanimous in agreeing that Annie and Katie in Year 5, as well as Katie and Oliver in Year 6, were the most persuasive in the letters they produced. 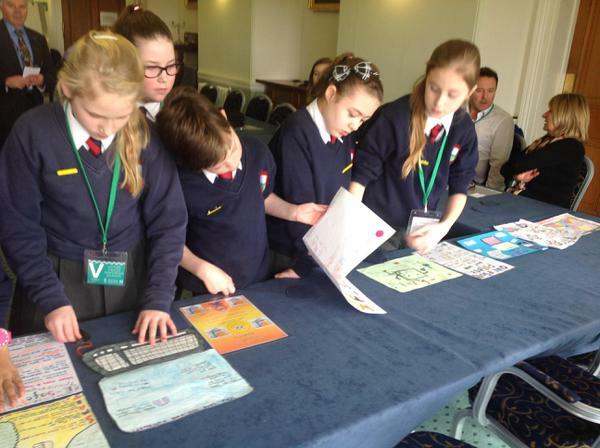 Thank you and well done to all children who applied. 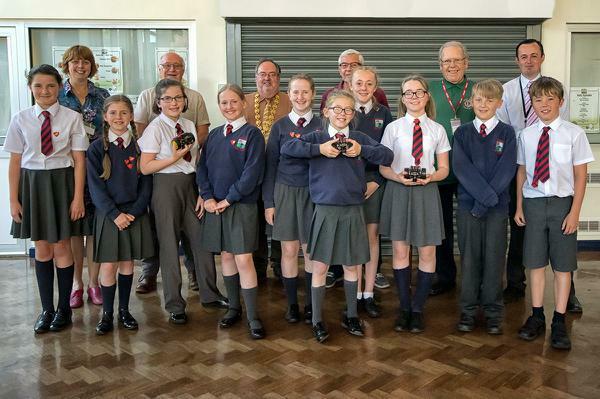 Each of these pupils joined Cyber Council members in receiving a prize donated by West Mercia Police that will spread the message of online safety. 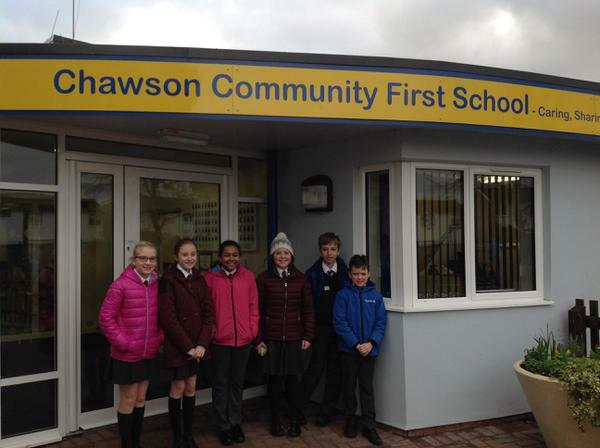 Members of our Cyber Council visited Chawson First School today to lead their own assembly! 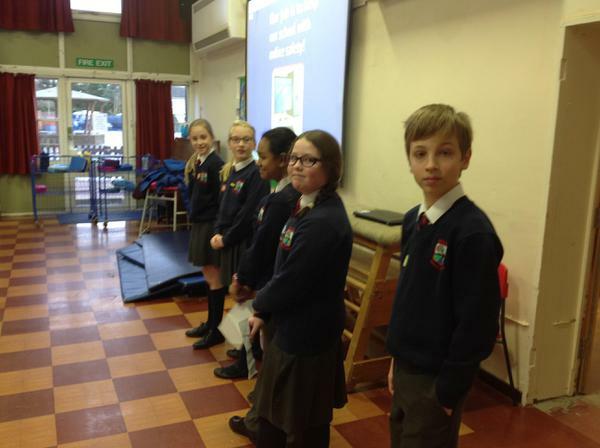 Will in Year 5, Freya and Katie in Year 6, as well as Olivia, Leah and Angus in Year 7 prepared and gave a very informative assembly in front of 170 Year 3 and 4 pupils and their teachers. 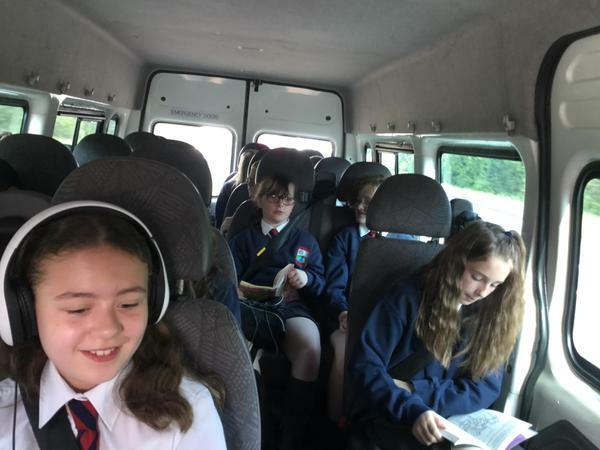 They explained the role they play at Westacre, encouraged the children at Chawson to join their own e-safety group and discussed some ways of staying safe online (in particular about not sharing personal details online). 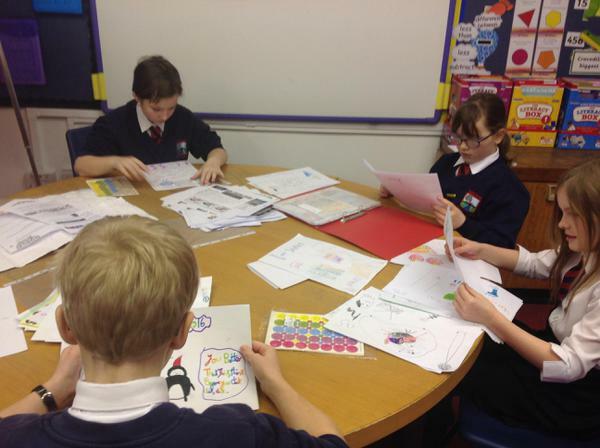 They did an incredible job and should be thoroughly proud of themselves! 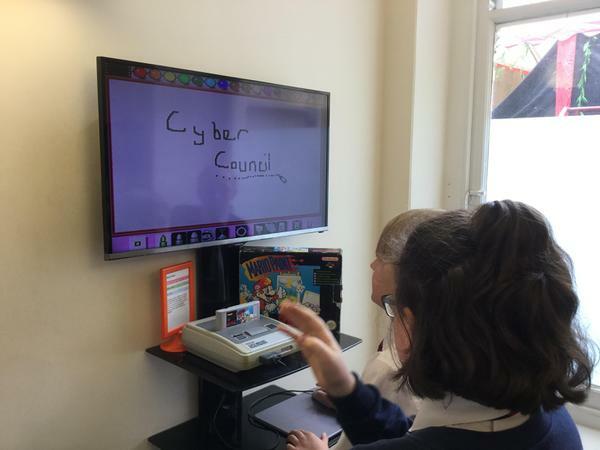 In recognition of the great work the Cyber Council have been doing and of the further responsibilities they will be taking on around school in the future, all Cyber Council members have been given access to their own school e-mail accounts. 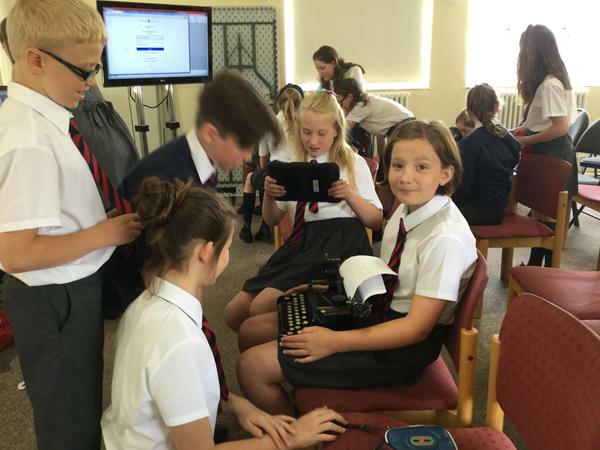 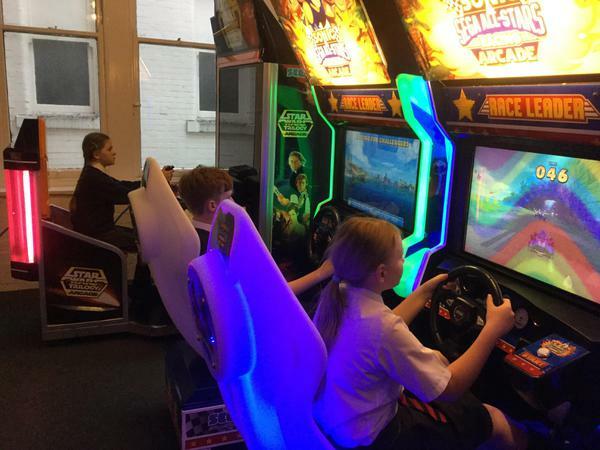 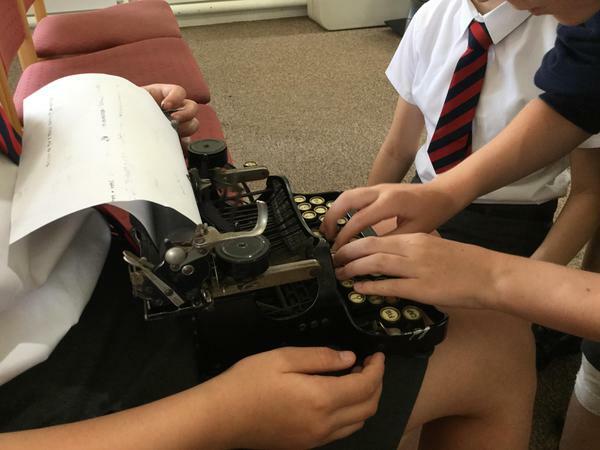 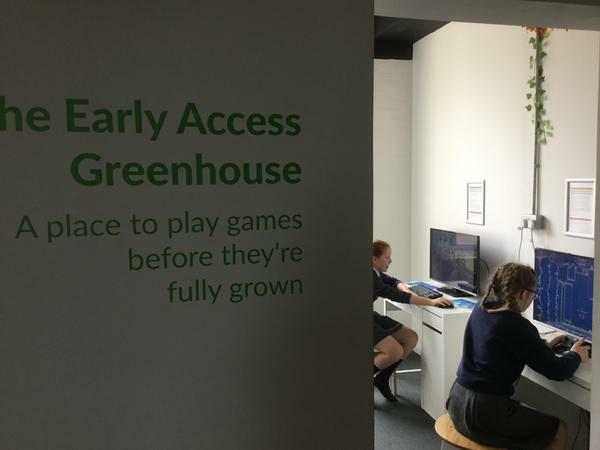 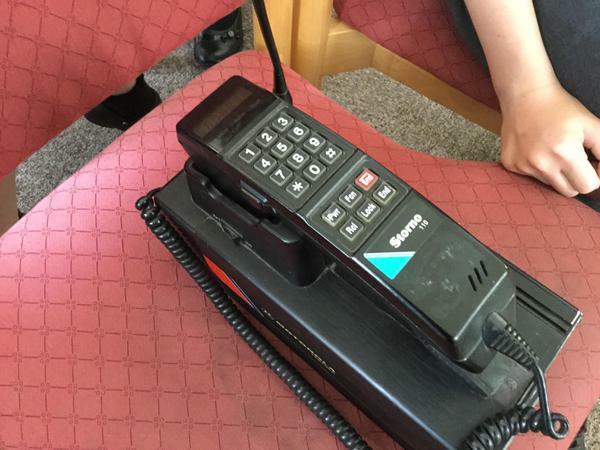 This will enable them to communicate with each other and Mr Barber in order to support the roles they undertake in school, as well as learn themselves the etiquette of and need for care and awareness when using e-mails. 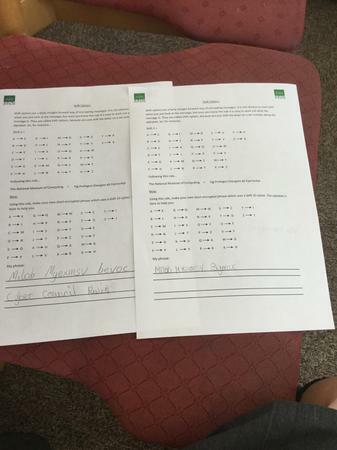 All current members of the council have been given their own unique usernames and passwords for these accounts, and the children are fully aware of how to keep these safe and confidential. 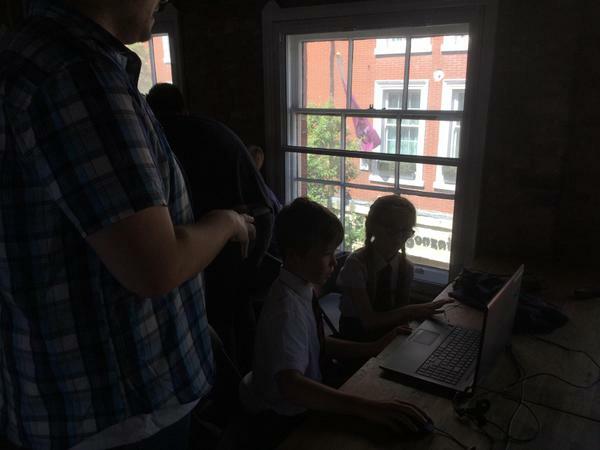 Click the link below to find out more about how many of our Cyber Council members helped teach younger children about online safety. 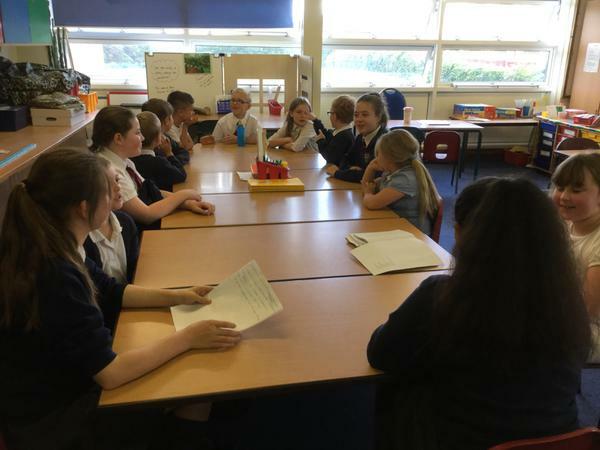 Our Cyber Council have continued with their weekly meetings. 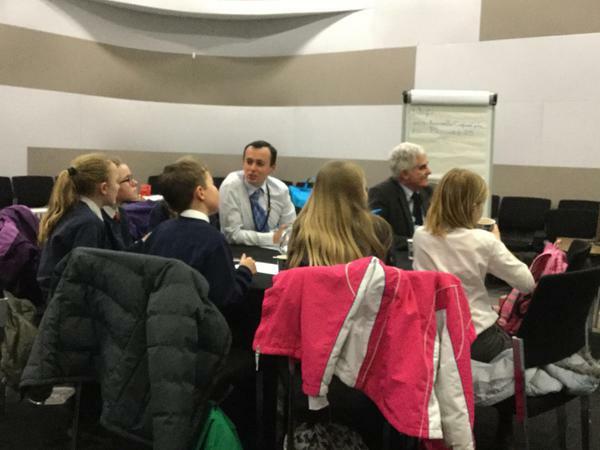 Please click below to find out some of the ICT-related topics they have been discussing. 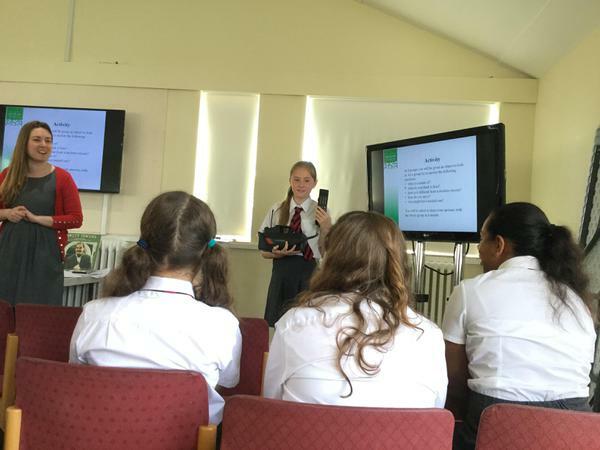 Some members of our Cyber Council have been teaching their peers about the importance of online safety. 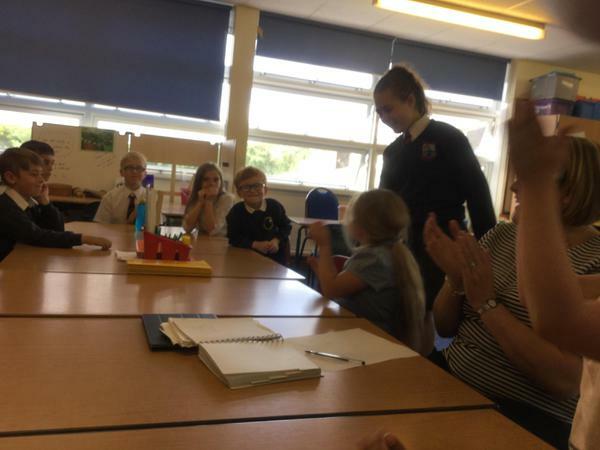 Freya and Katie in 6CS taught their classmates about their new role in the Council and shared with them some e-safety tips. 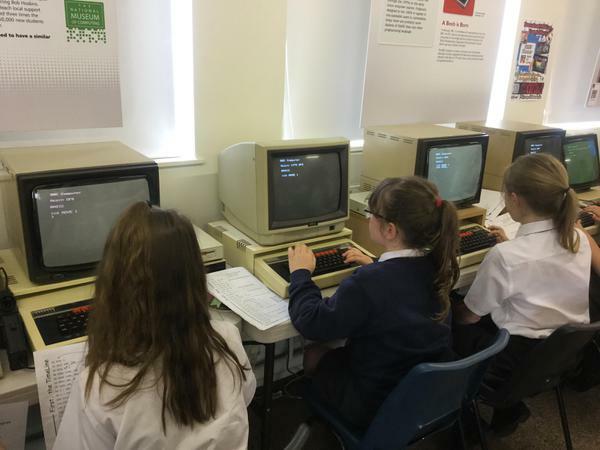 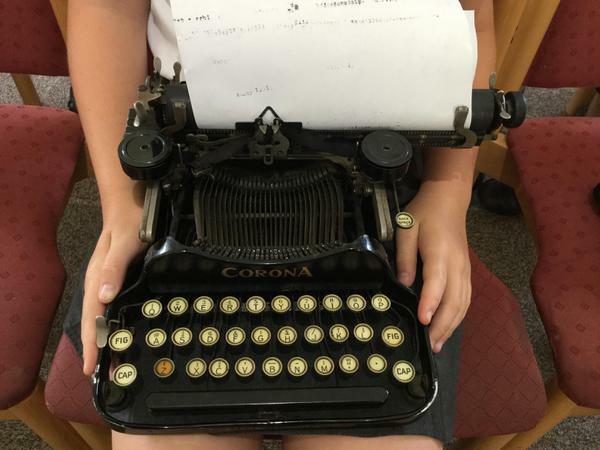 Click the link below to see the J2E webpage they created (including a very powerful acrostic poem about internet safety). 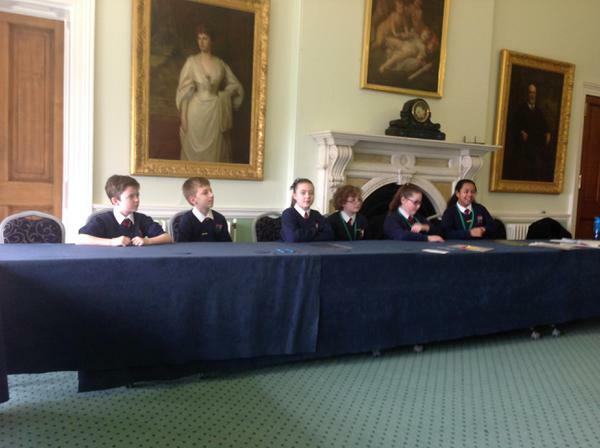 The Cyber Council have had their first official meeting. 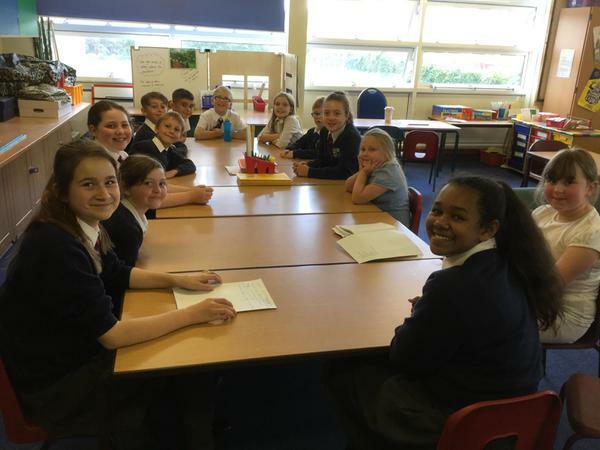 Each week, members of the Council will take the minutes of the meeting and publish them online via J2E. 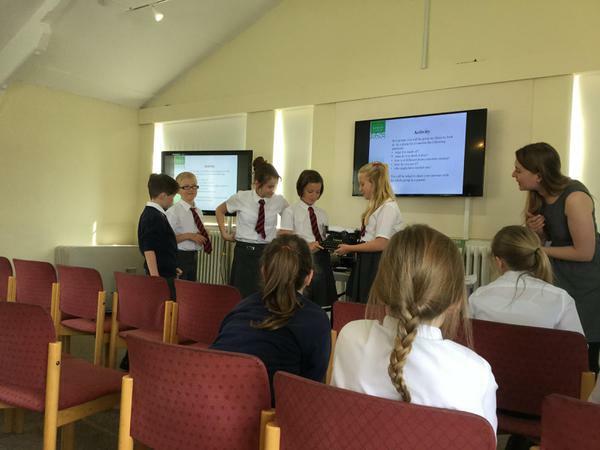 Click the link below to see what was discussed in their first session. 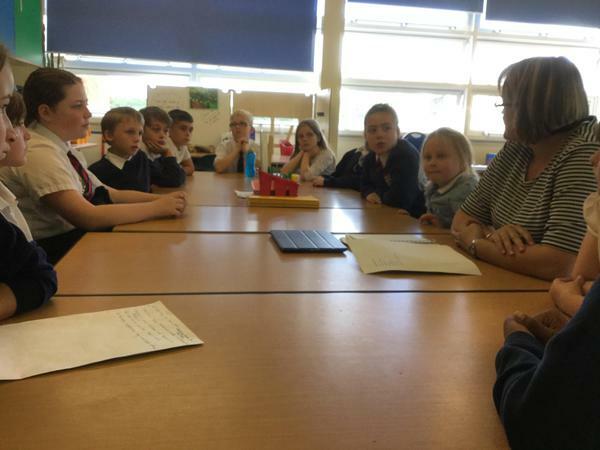 These children will represent the rest of our pupils in meetings about the Computing curriculum, technology across school and e-safety. 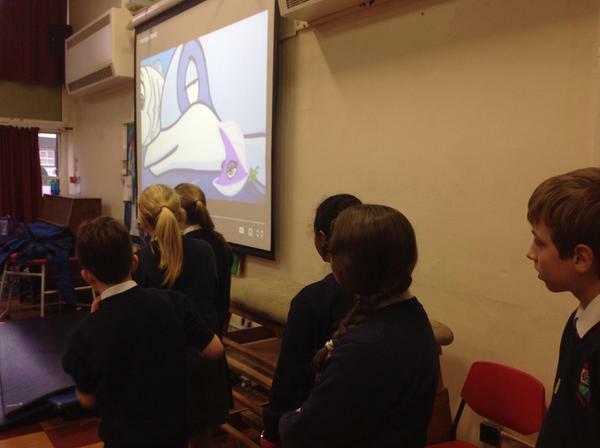 They will help to lead assemblies about online safety and also visit some of our local first schools to spread the word. 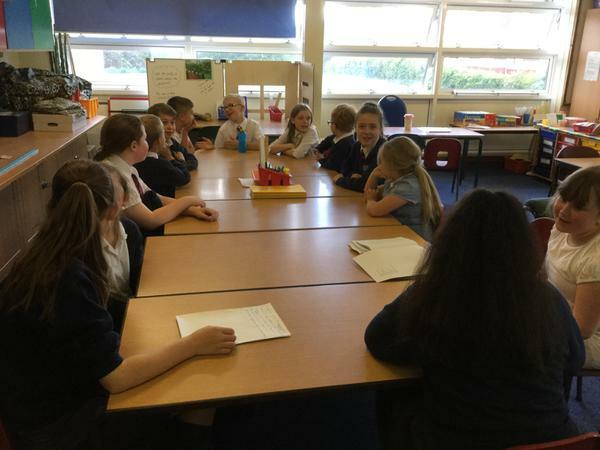 The group will meet on a weekly basis to discuss various issues, as well as creating content for this website.